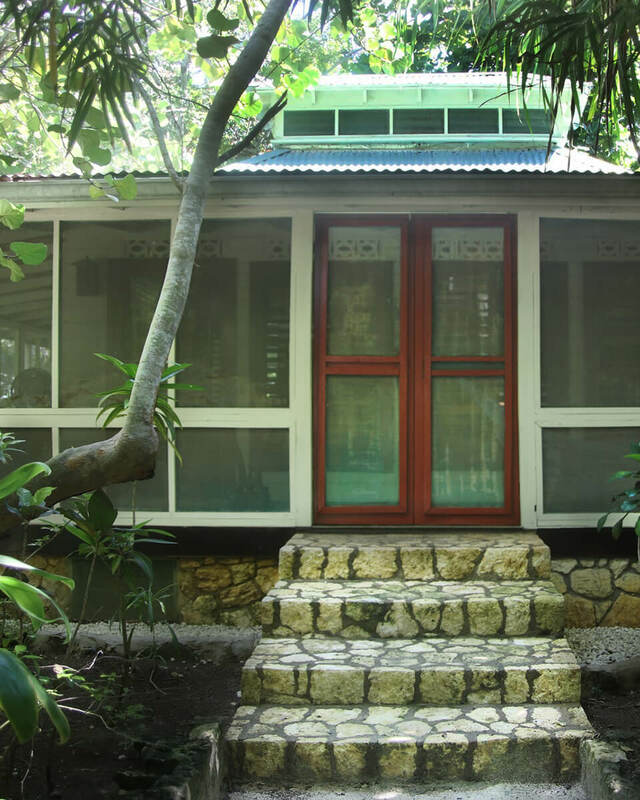 With over 1500 square feet of living space, this eclectic space is a testament to Old Jamaica, Indonesia and Africa. 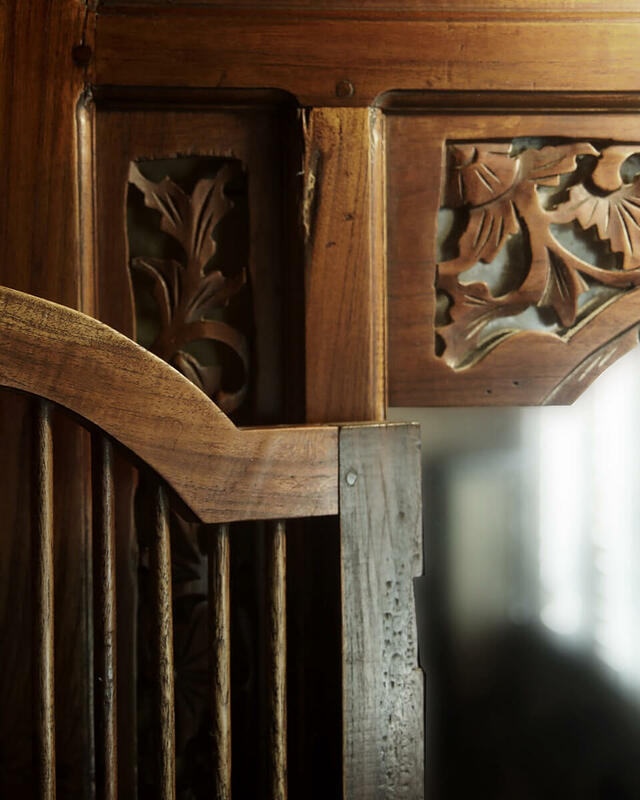 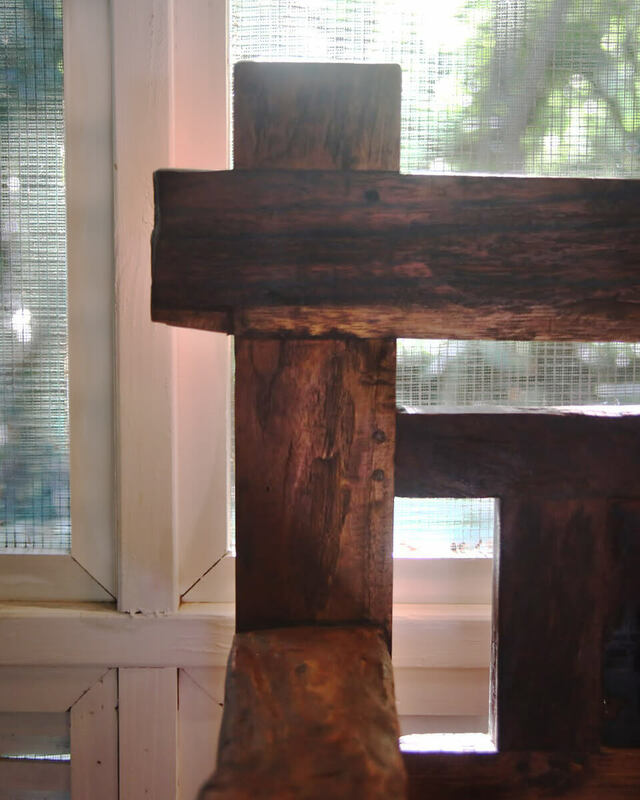 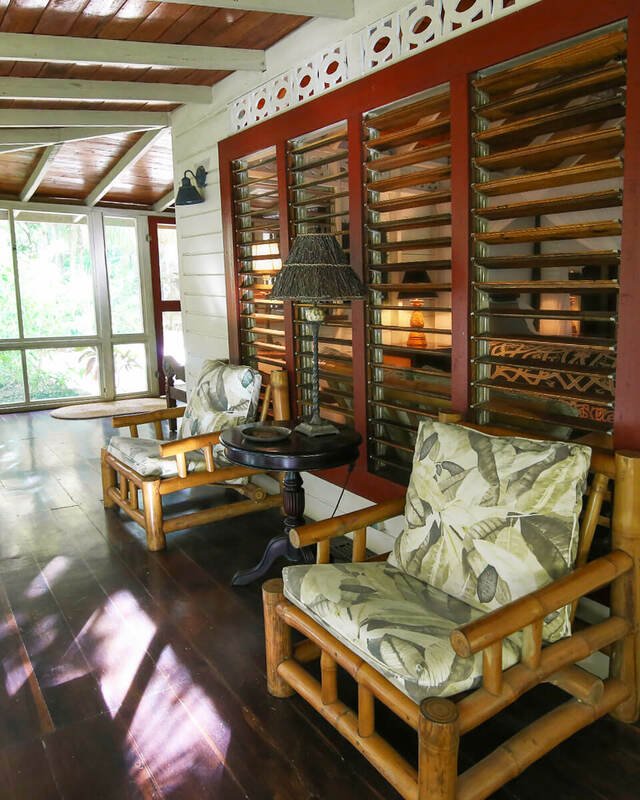 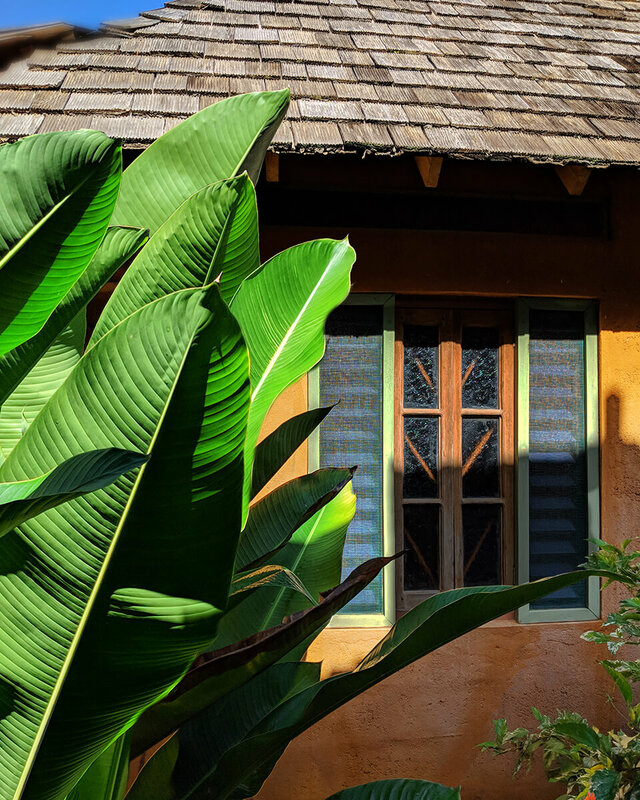 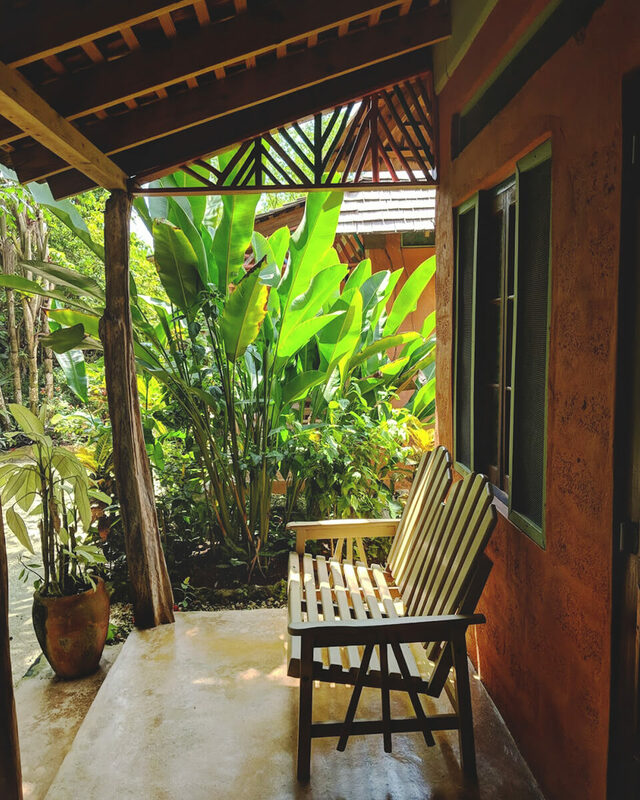 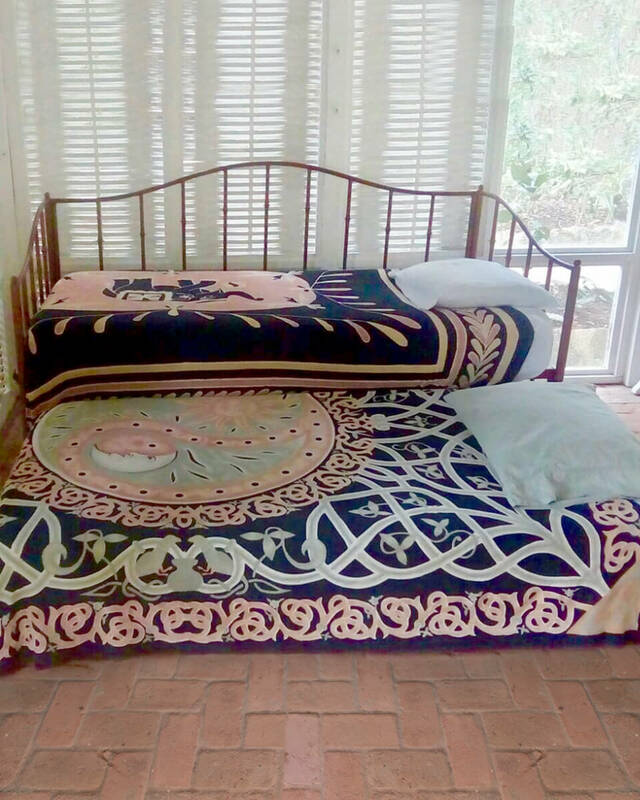 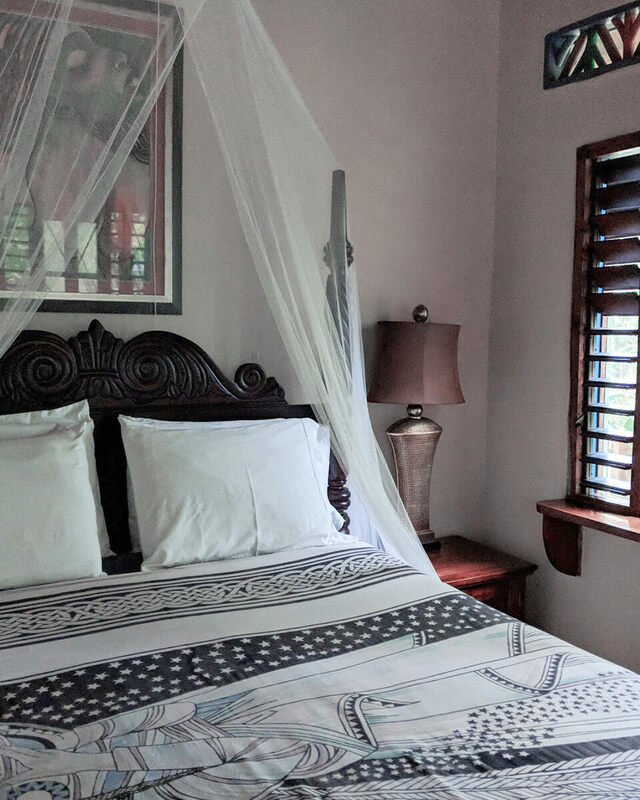 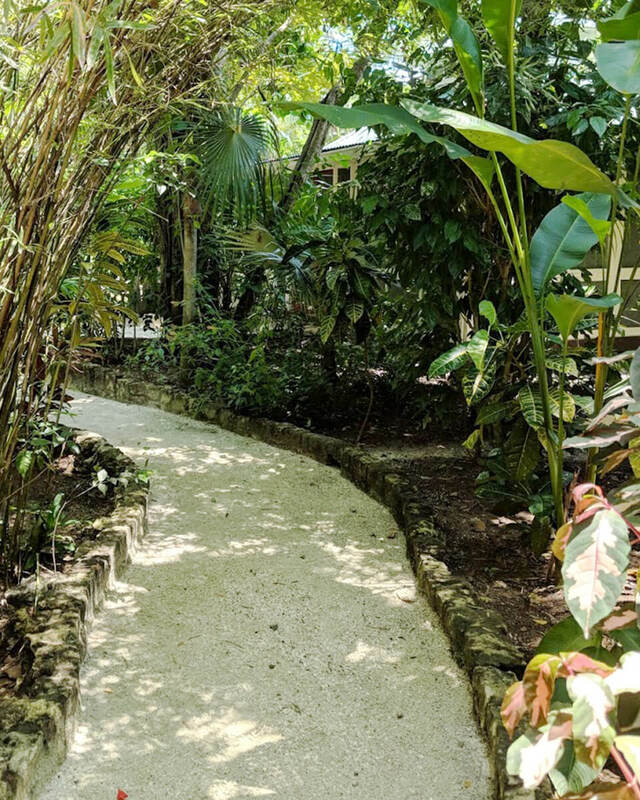 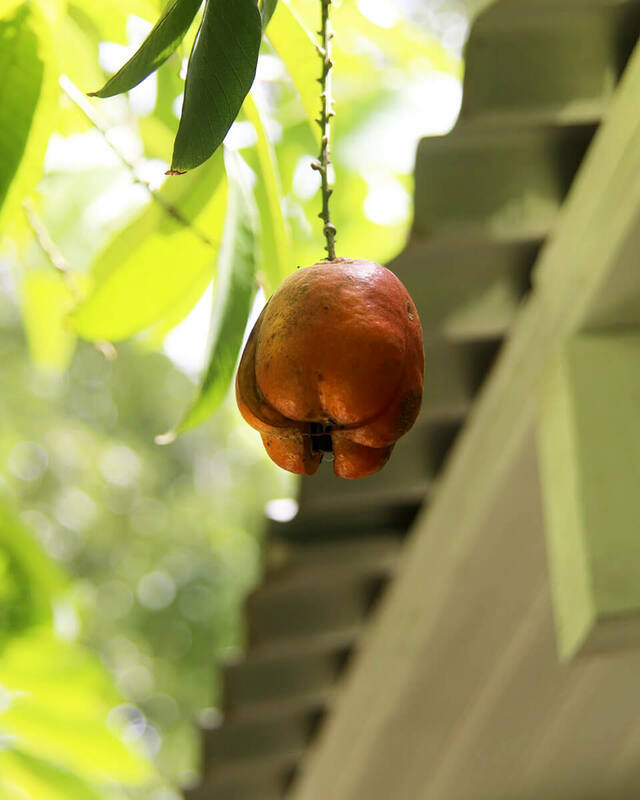 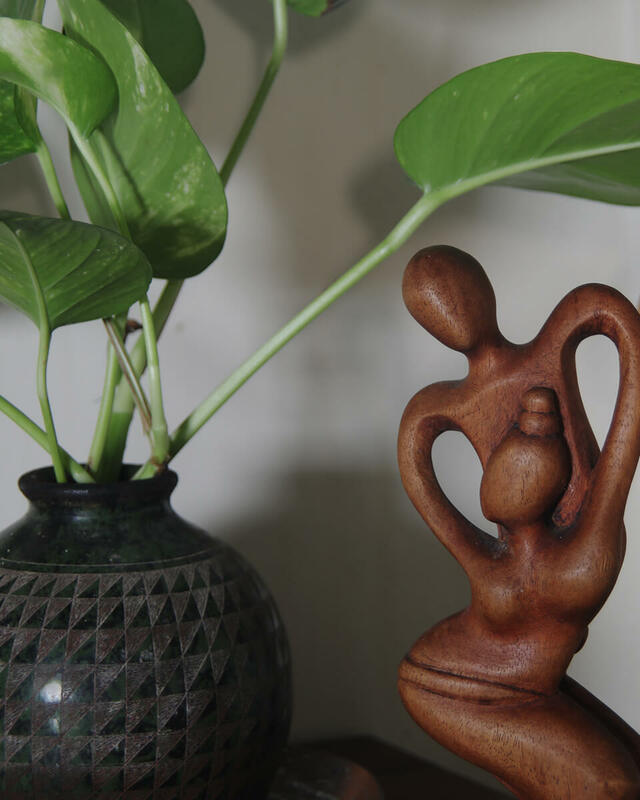 Replete with original art from around the world and genuine Jamaican mahogany floors, this airy suite is family-friendly, and includes a fully screened wraparound veranda set within our lush tropical gardens. 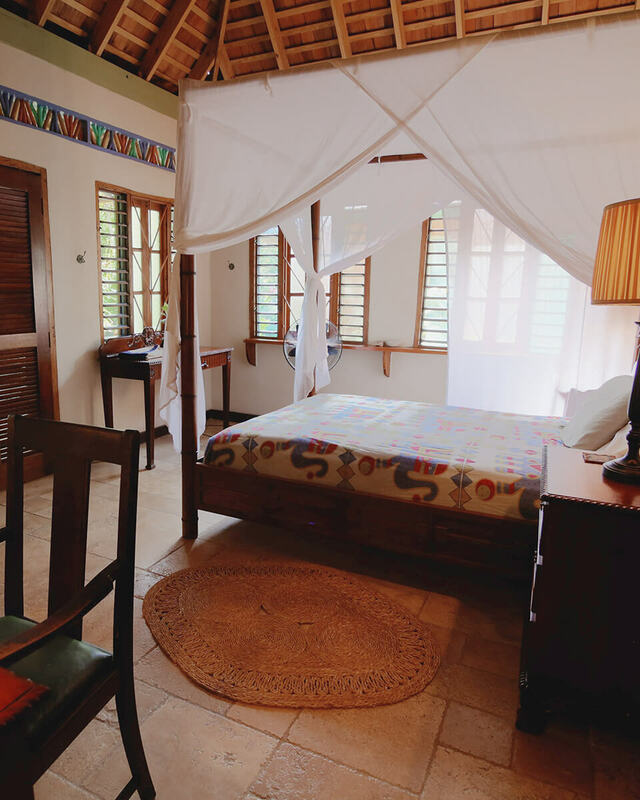 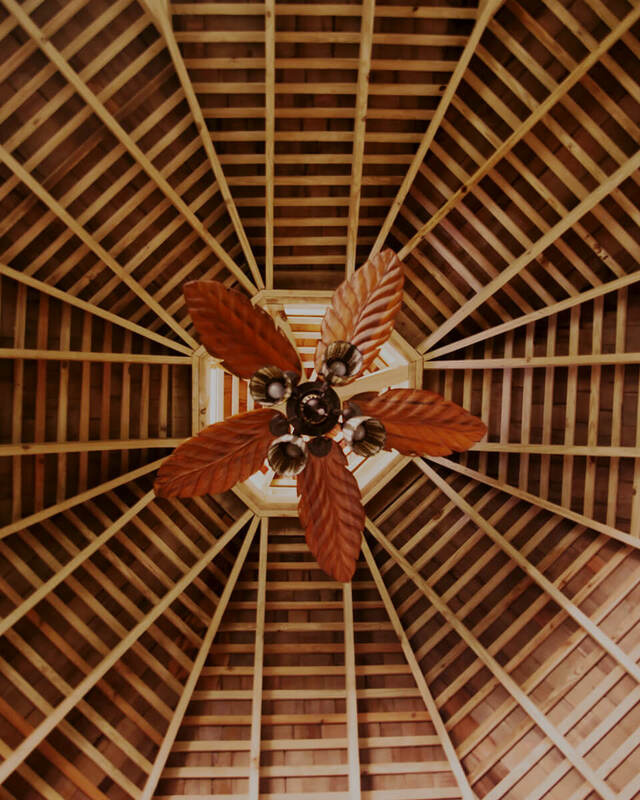 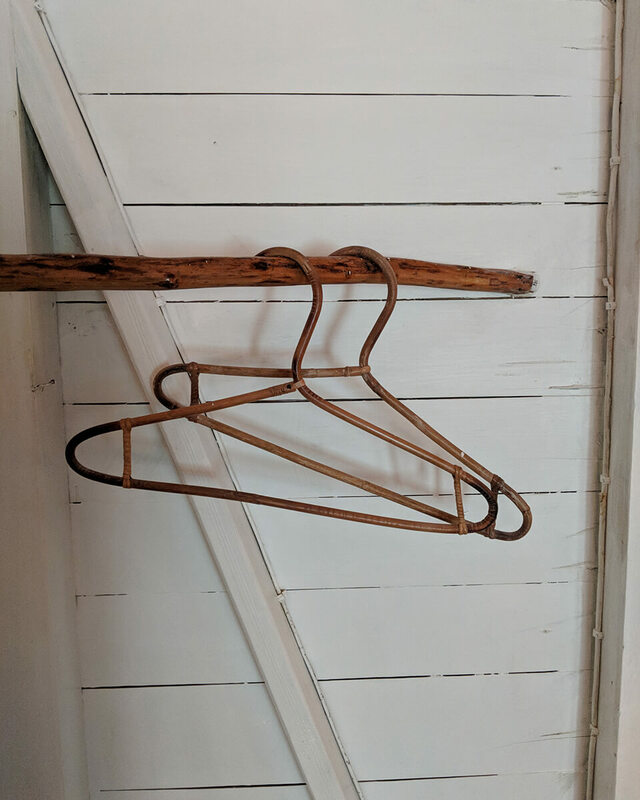 Free-standing and ceiling fan provided in-room. 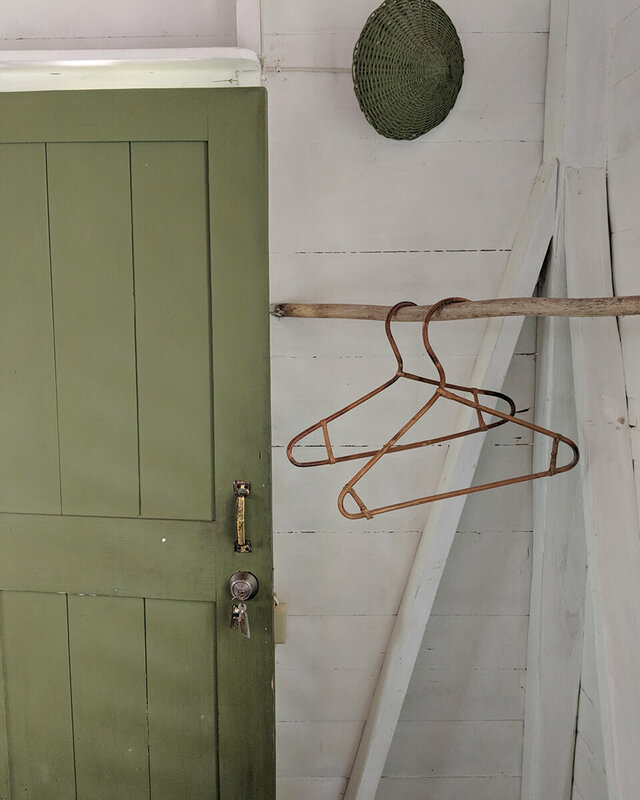 Please note, no central air conditioning. 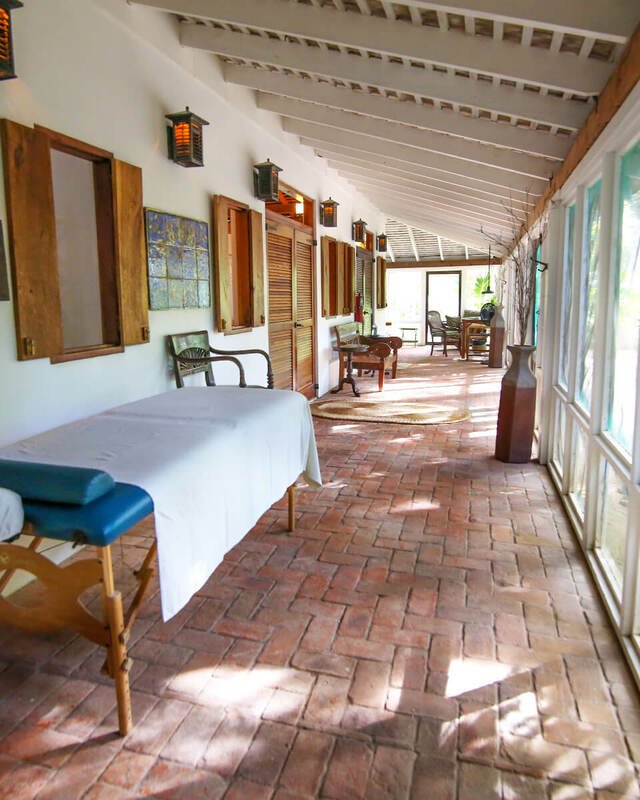 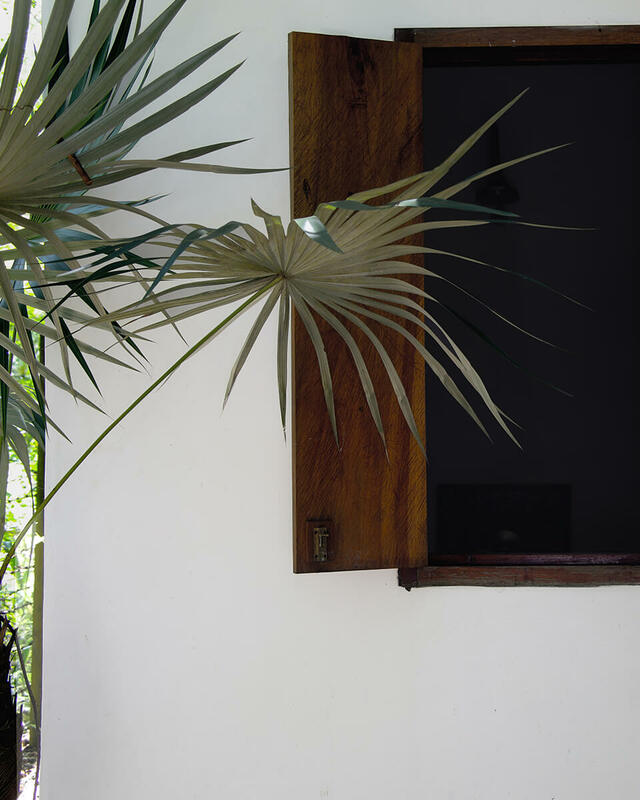 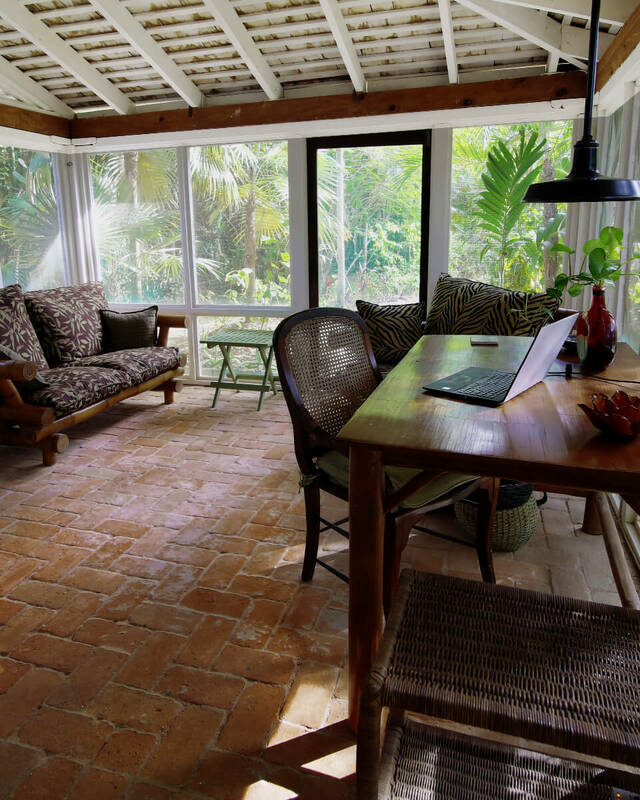 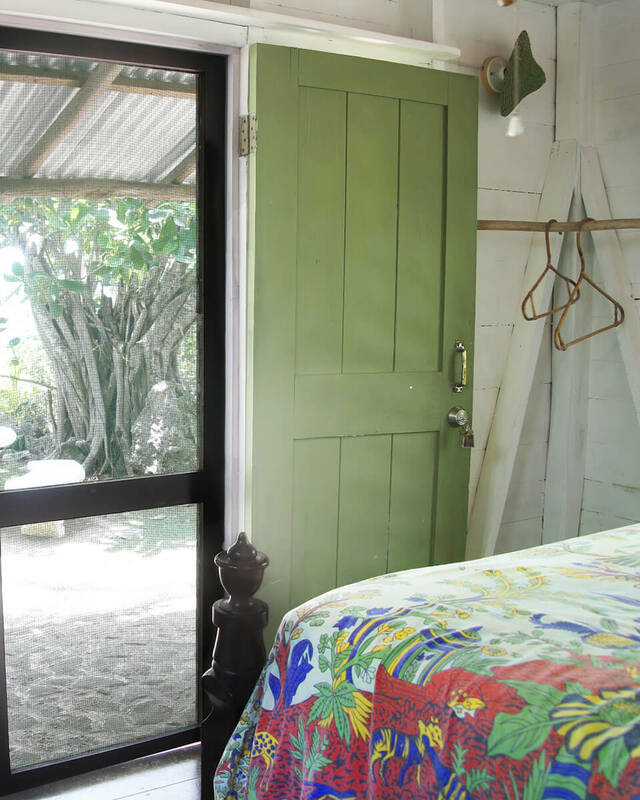 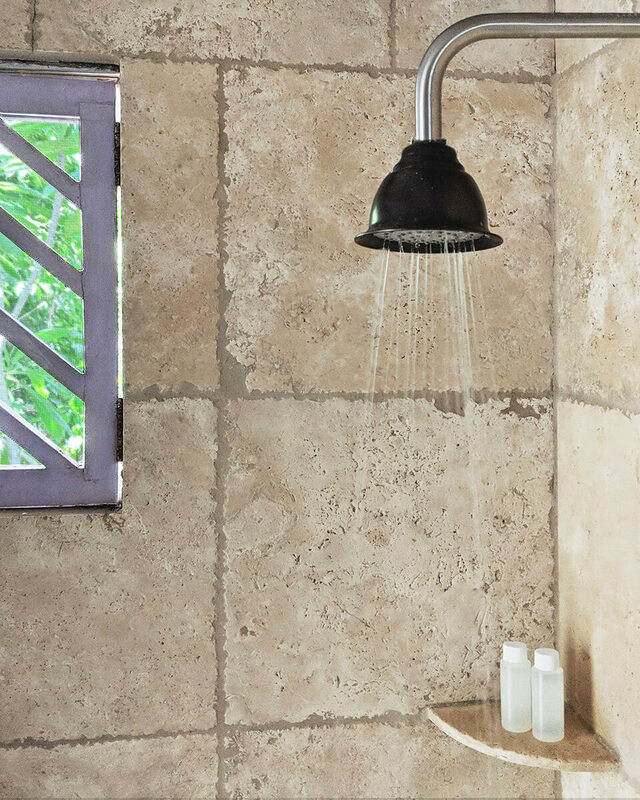 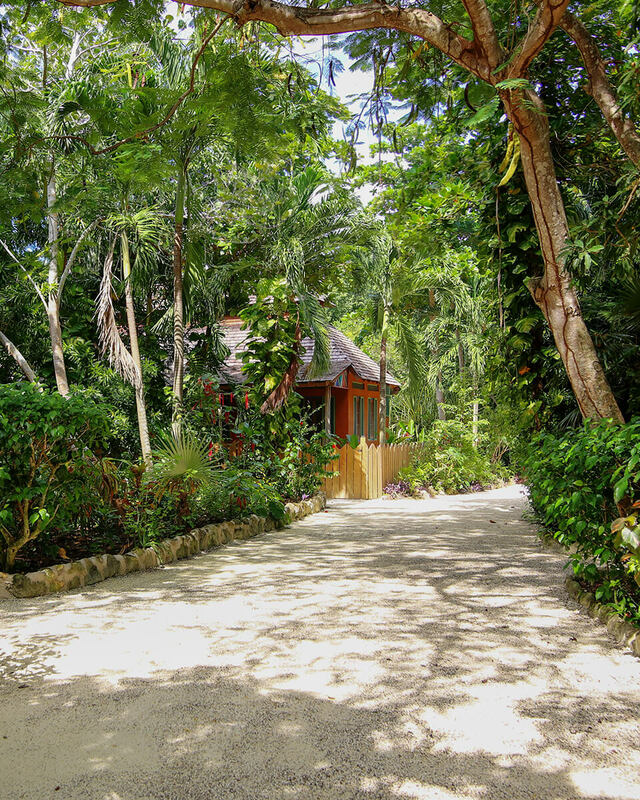 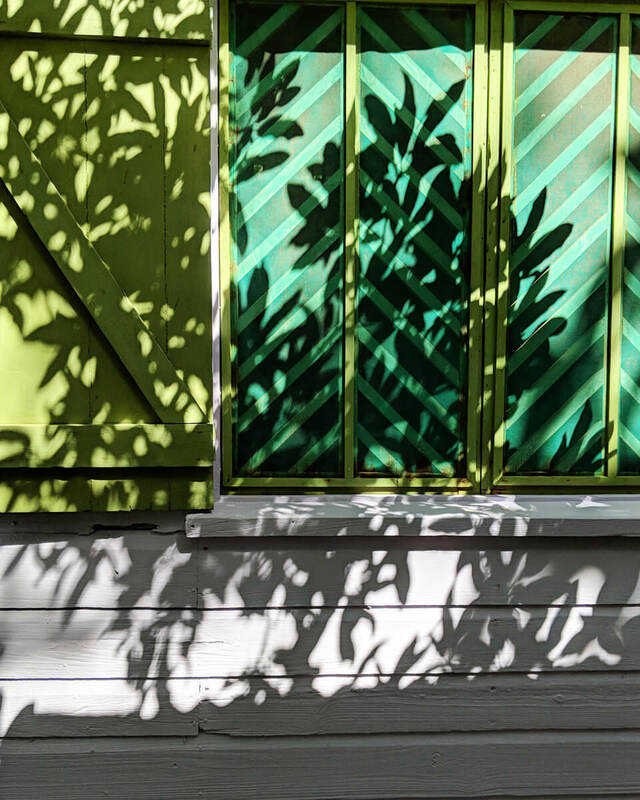 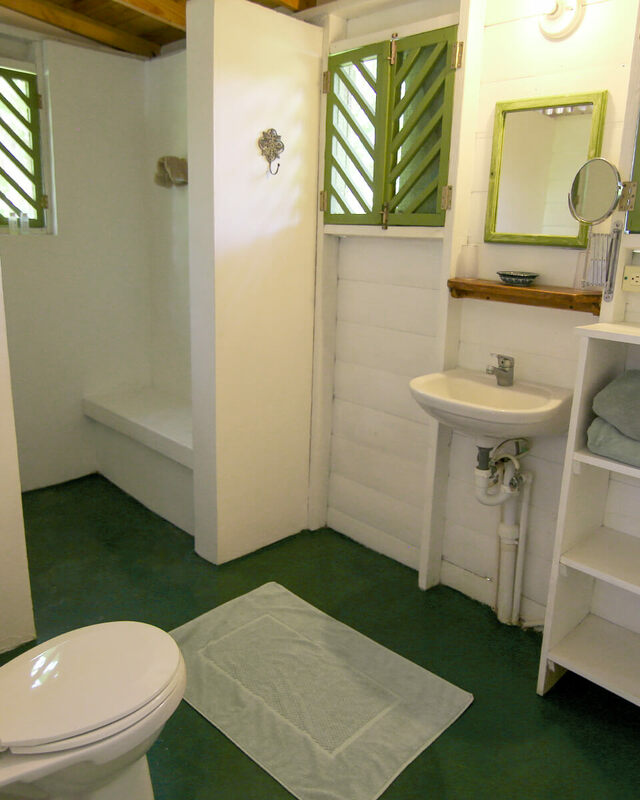 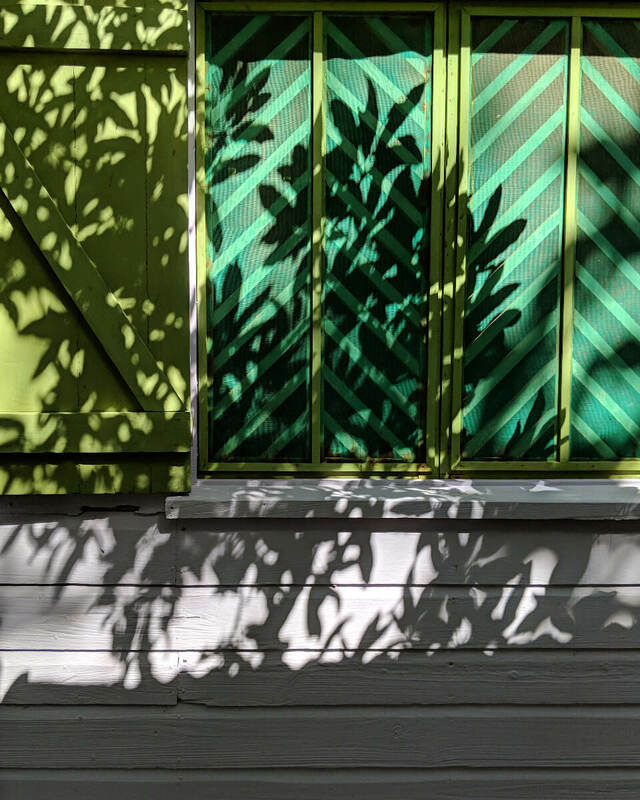 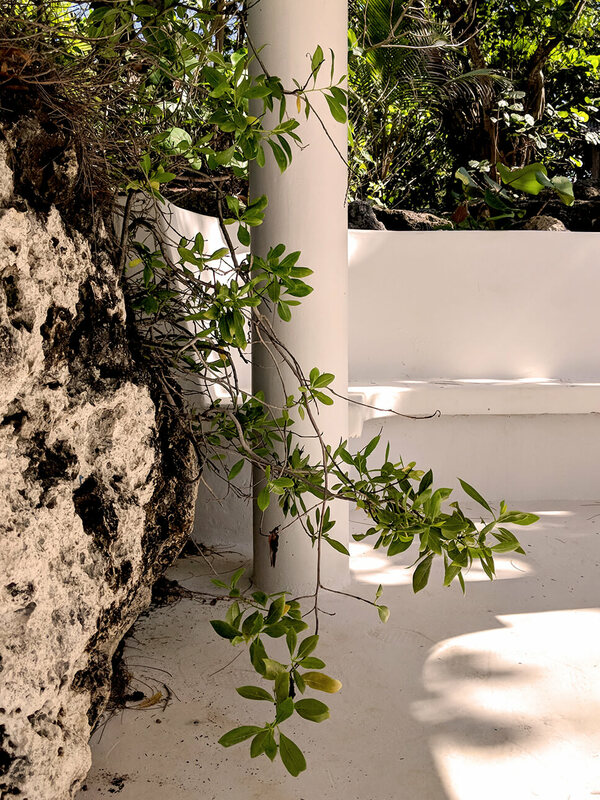 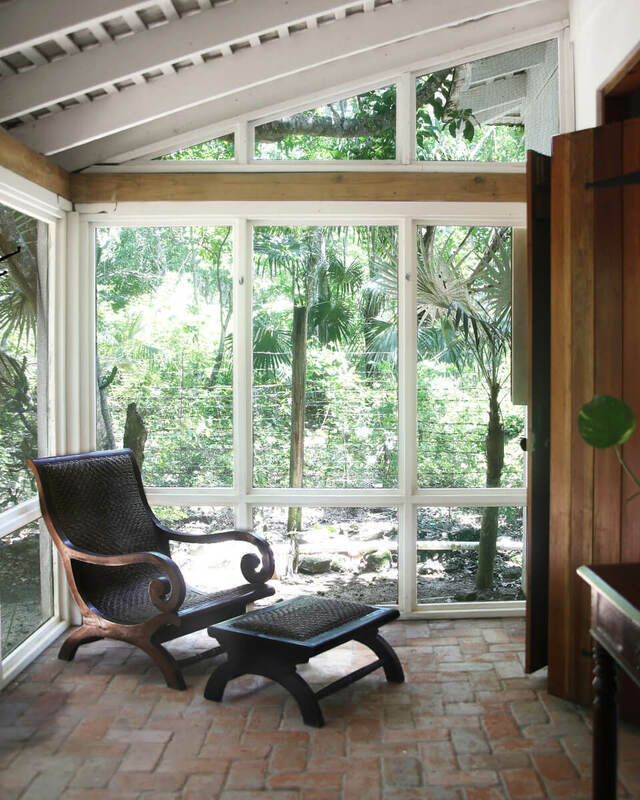 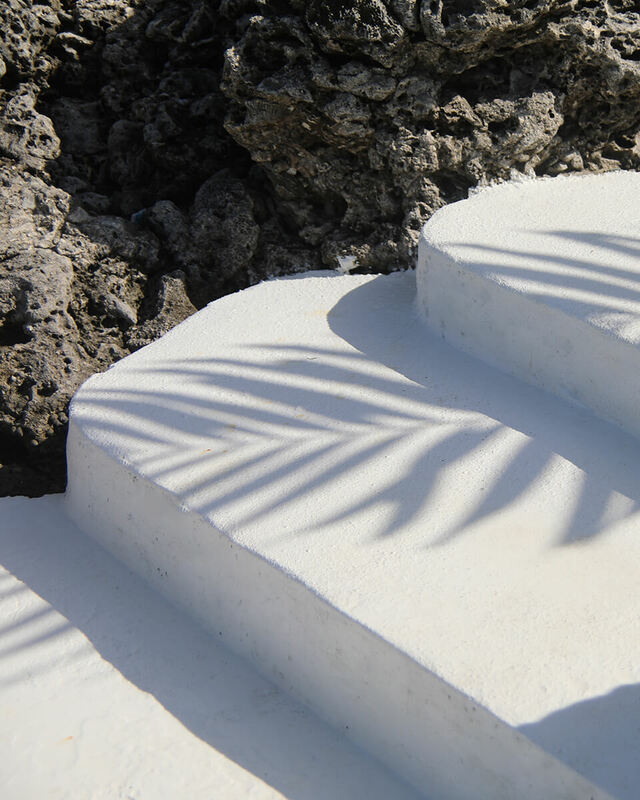 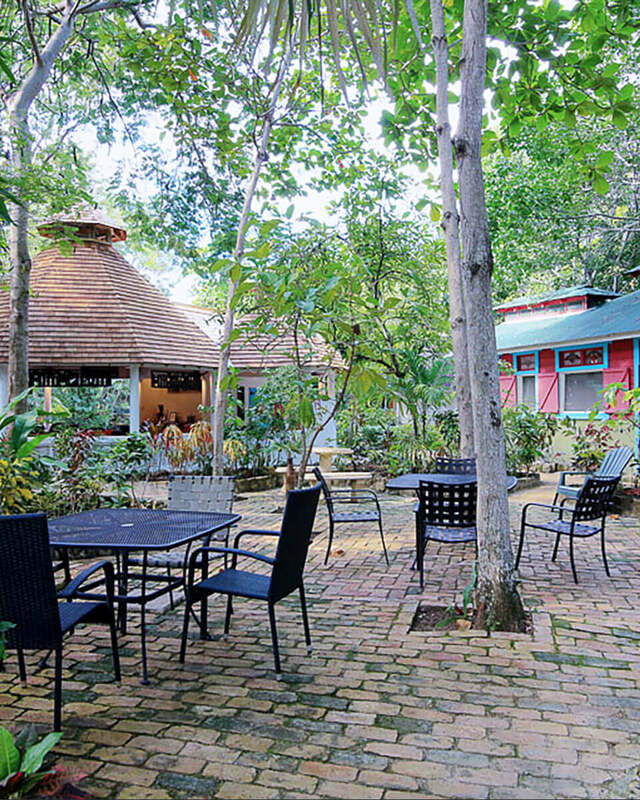 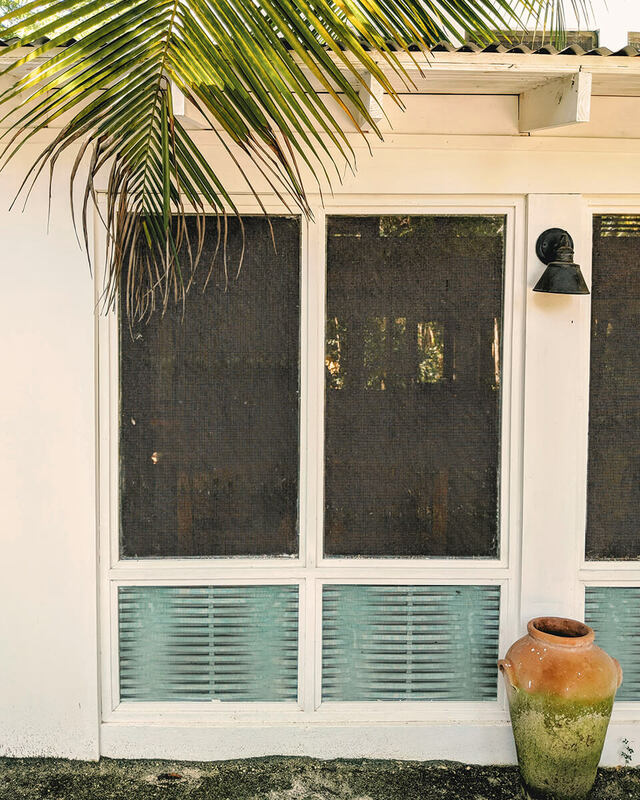 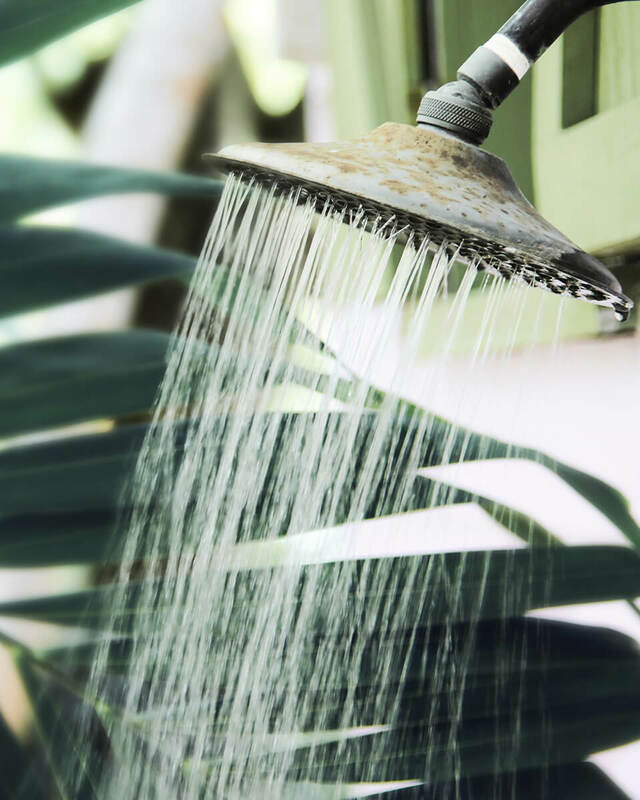 Lushly shaded by its moniker, Sea Grape Cottage is a stylish retreat for the senses. 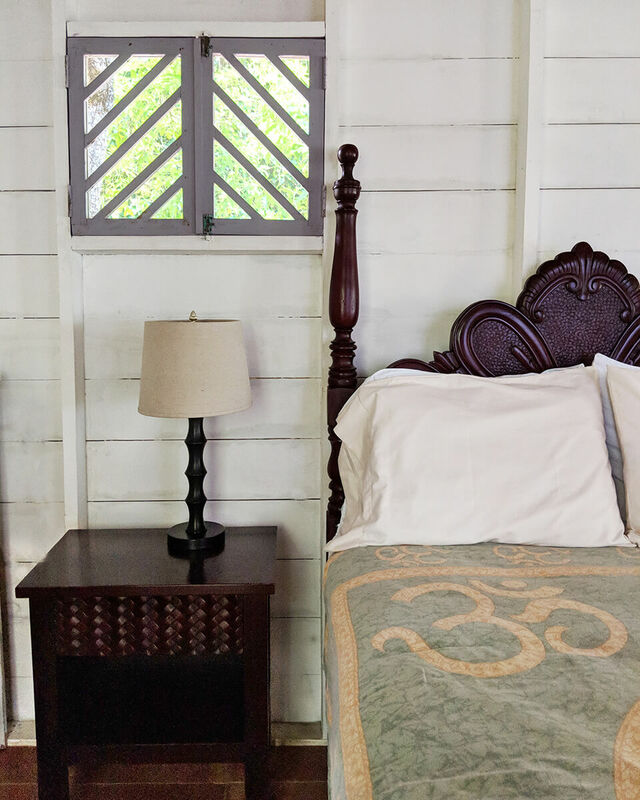 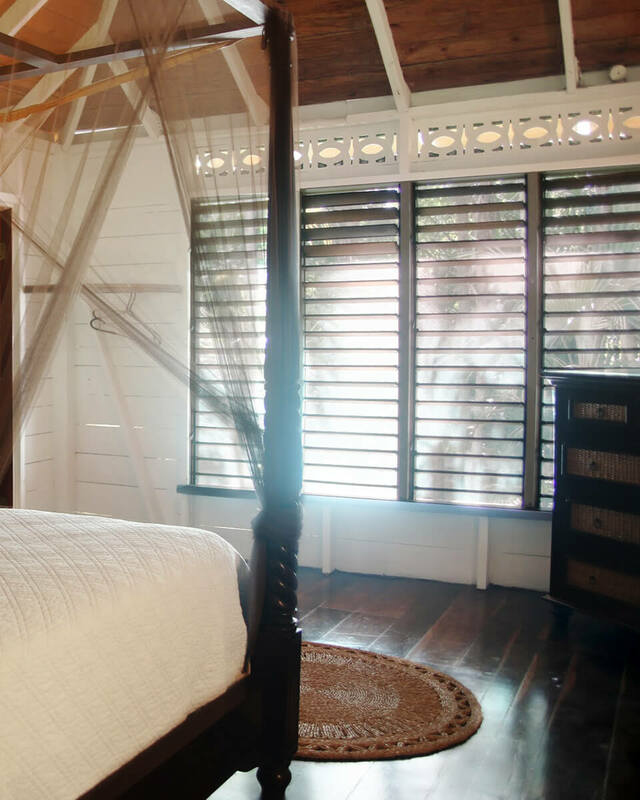 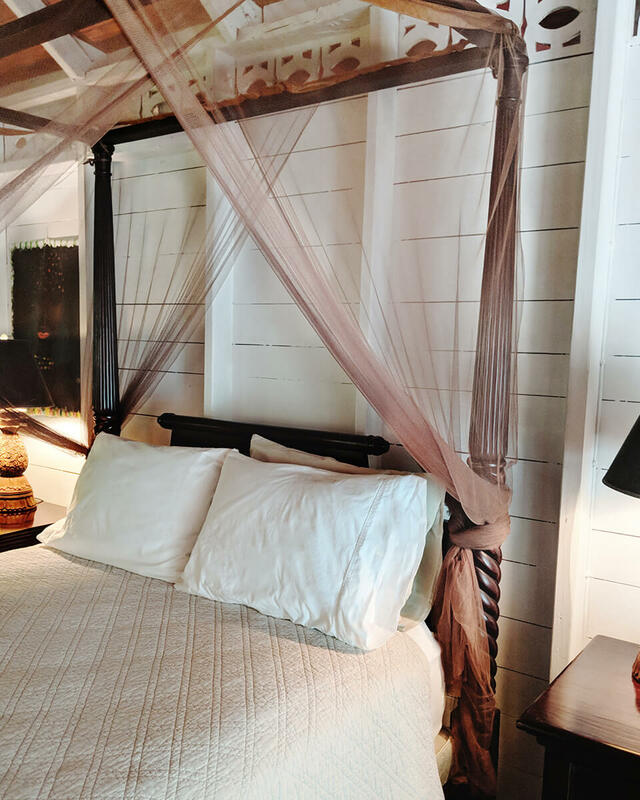 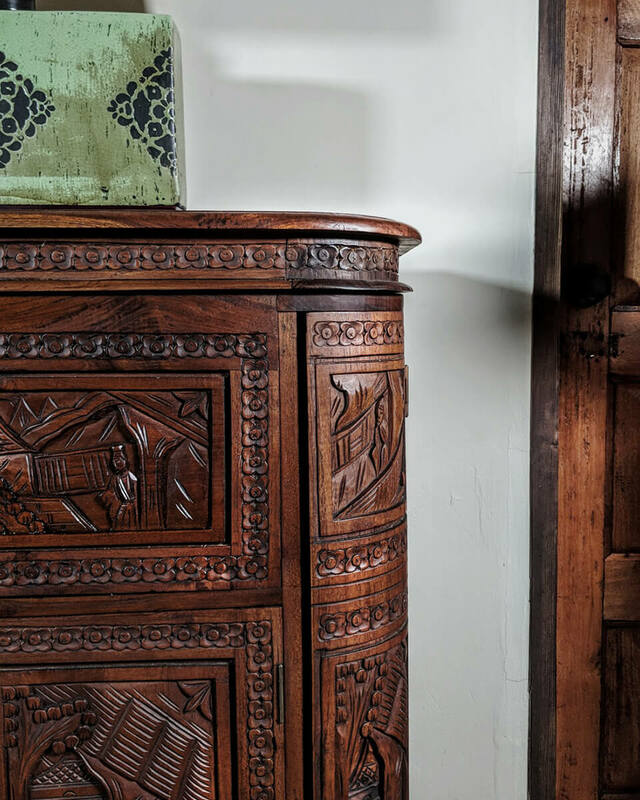 With antique accents, original art and nods to East Asia, this suite embodies Old Jamaican charm and tradition, complete with a canopy bed, an expansive screened in wrap-around veranda and tall shuttered windows for additional privacy. 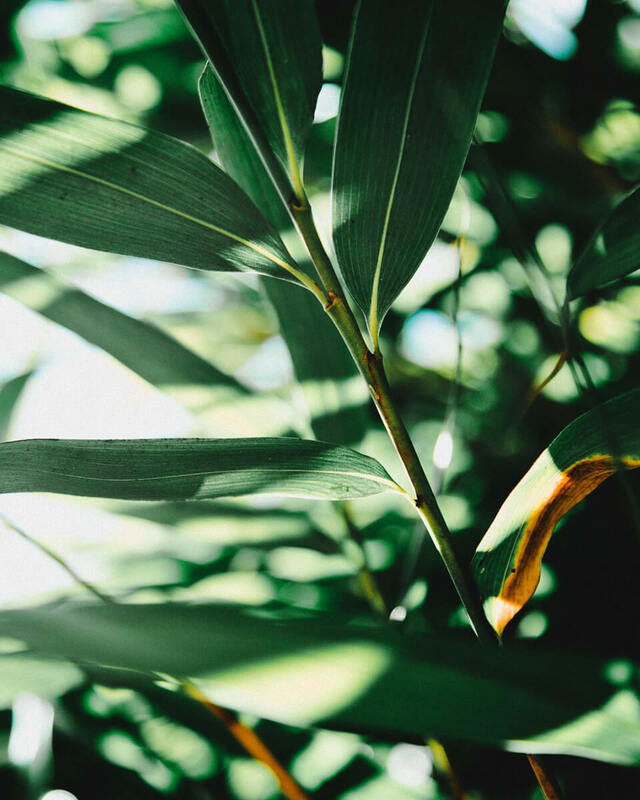 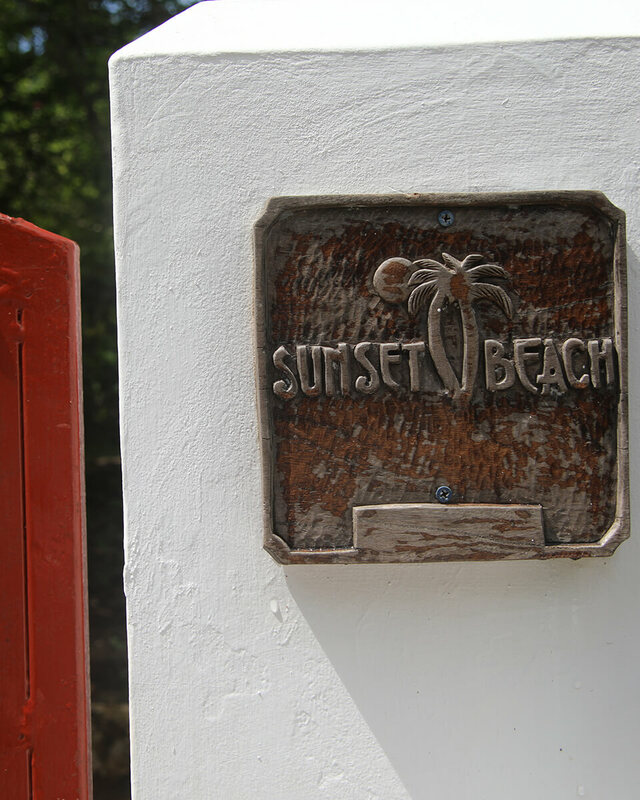 Serene and natural, the Sunset Cottage is located on a bluff overlooking the beach, shaded by tall Australian willows. 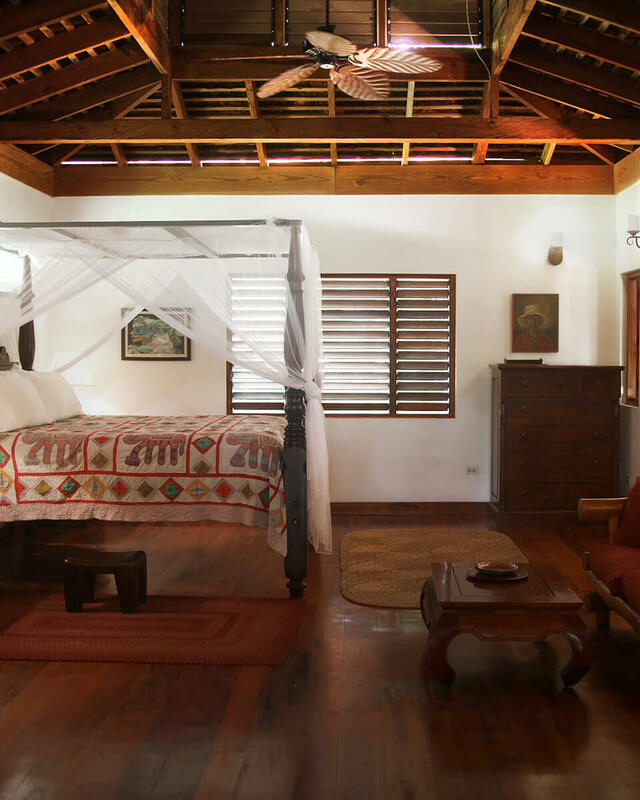 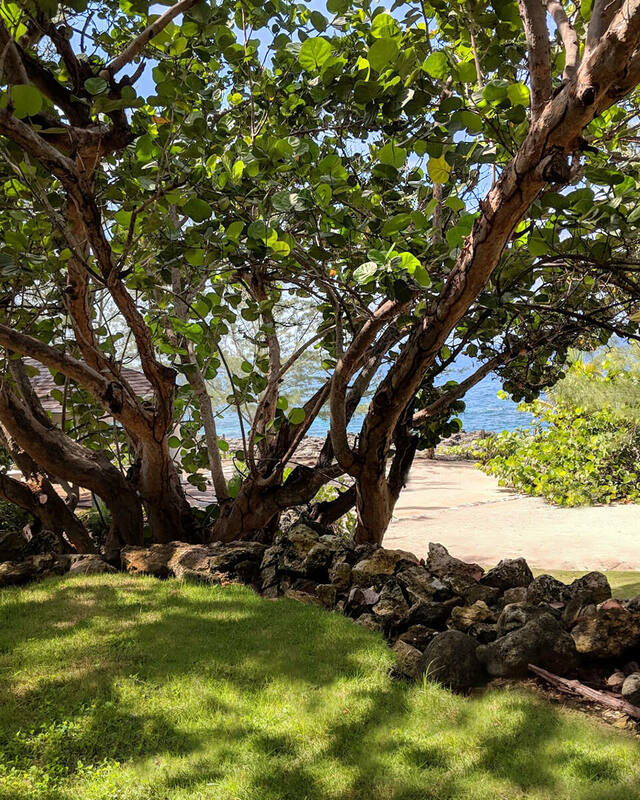 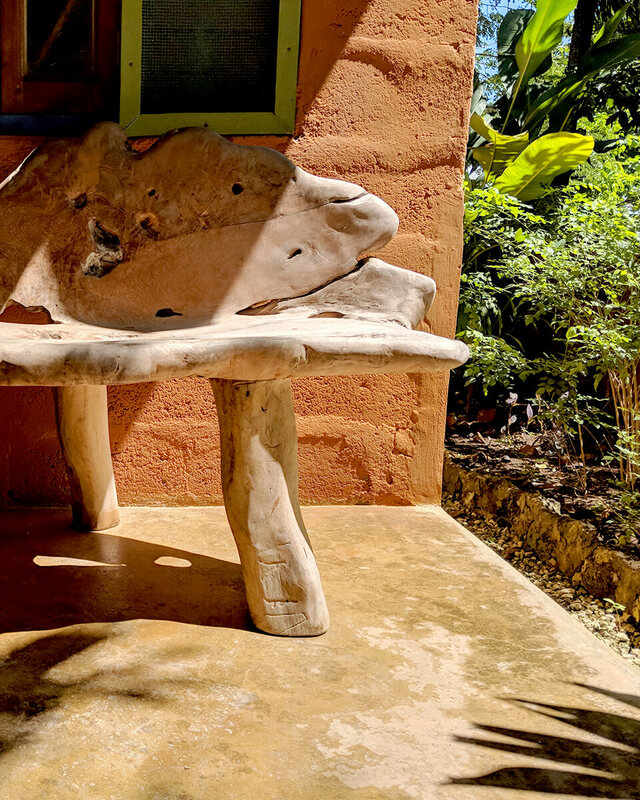 This intimate beachside bungalow boasts an antique double bed, original artwork and teak accents set within an outdoor oasis complete with a relaxing hammock and incomparable views of the Caribbean. 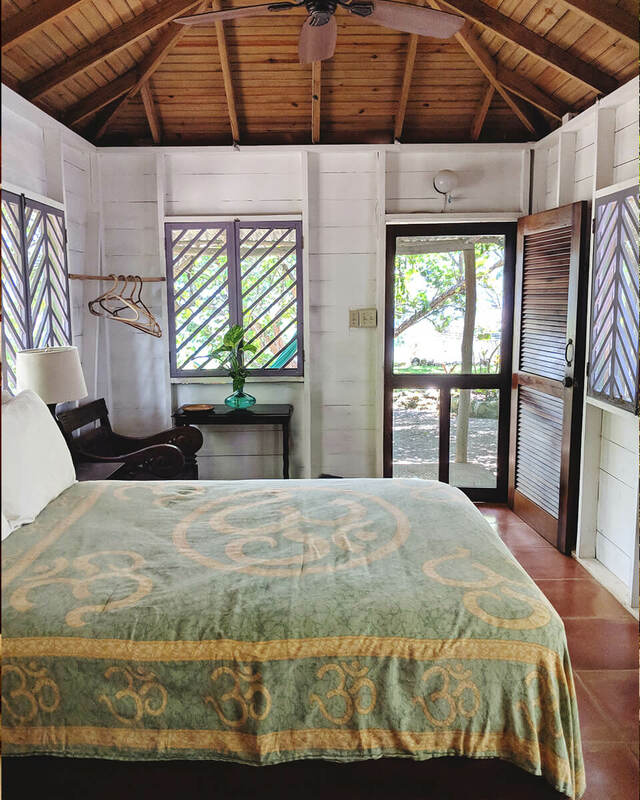 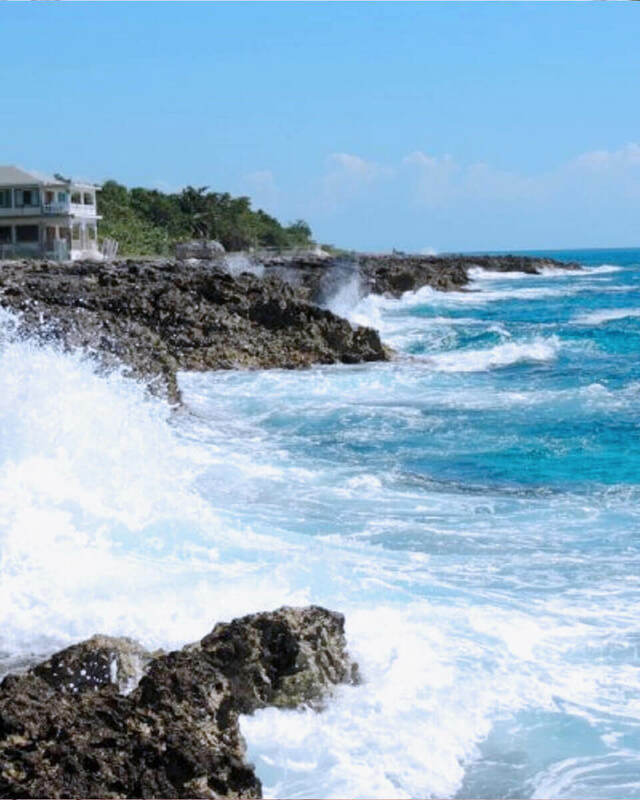 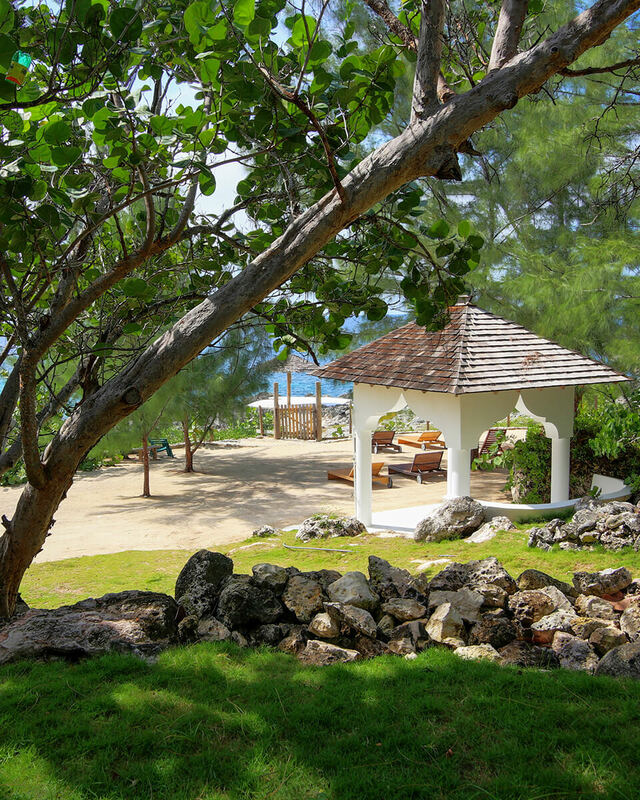 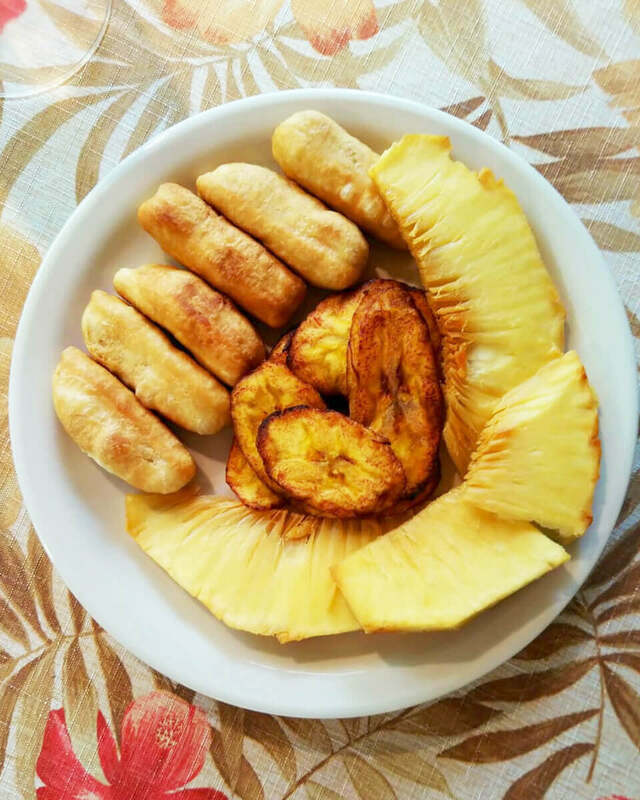 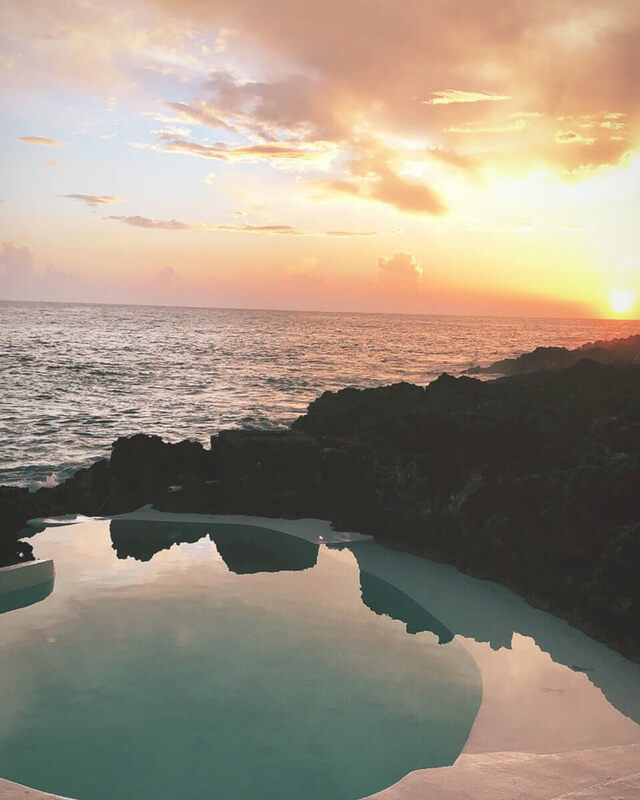 The Seaview Cottage, set on a bluff overlooking the Caribbean Sea, is an intimate coastal retreat. 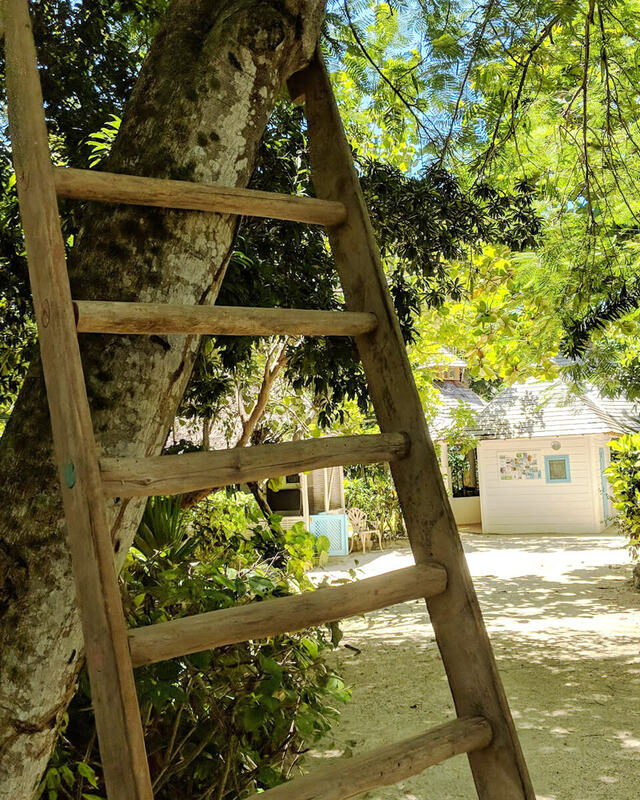 Located steps from our shady beach and cliffside pool, the cottage boasts an eclectic mix of hand-selected antiques and original artworks. 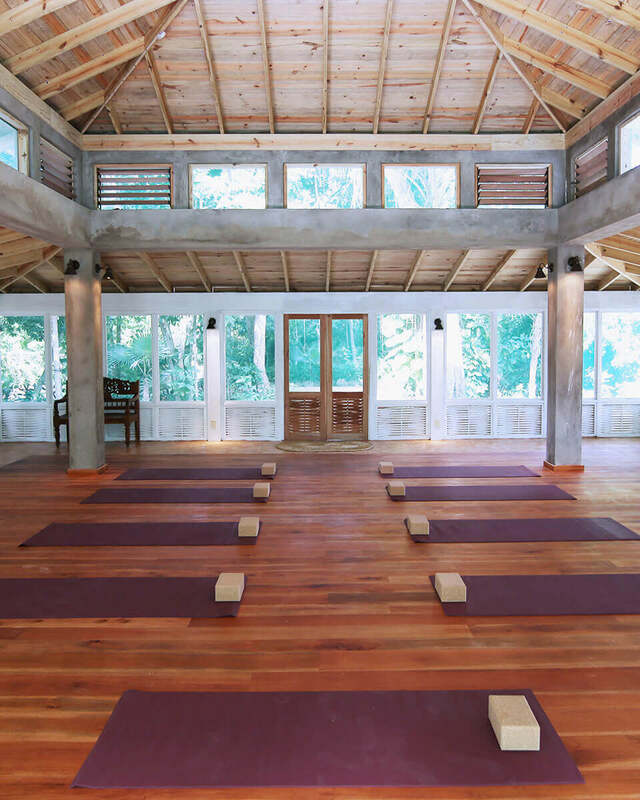 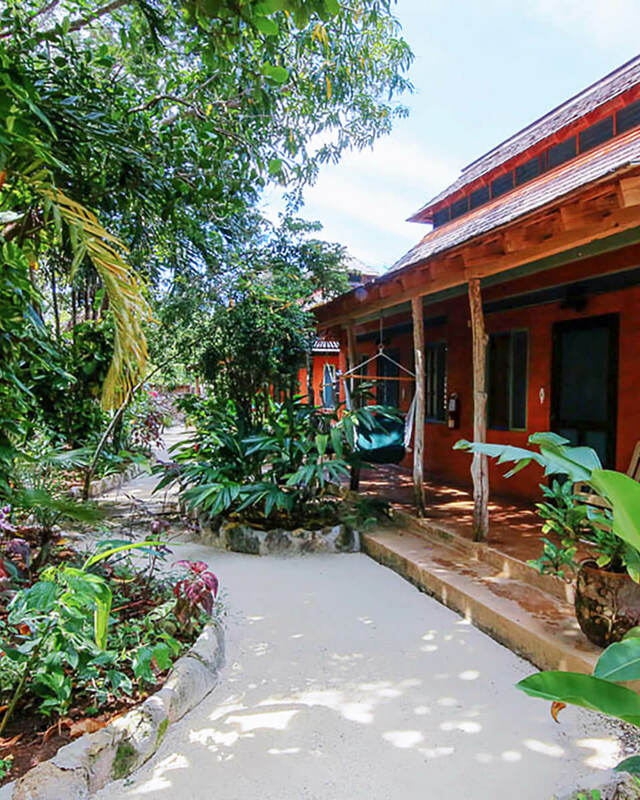 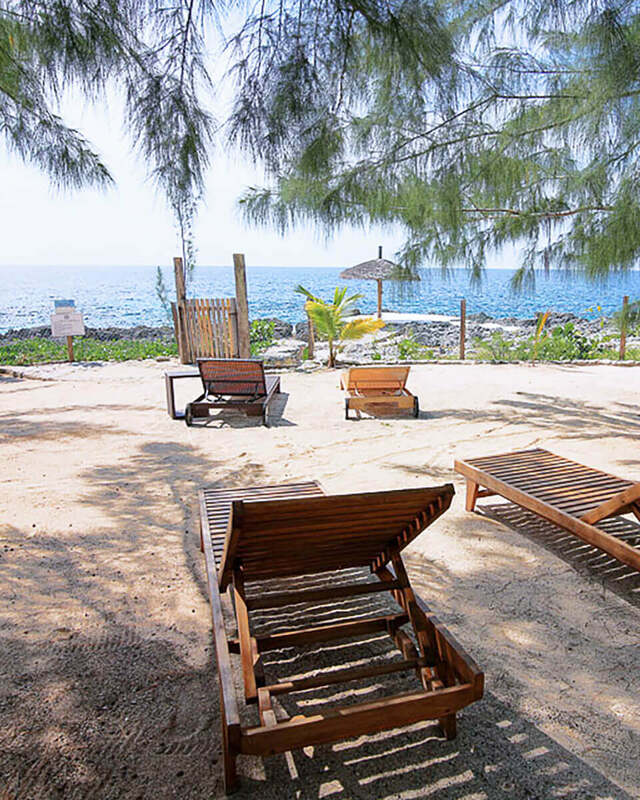 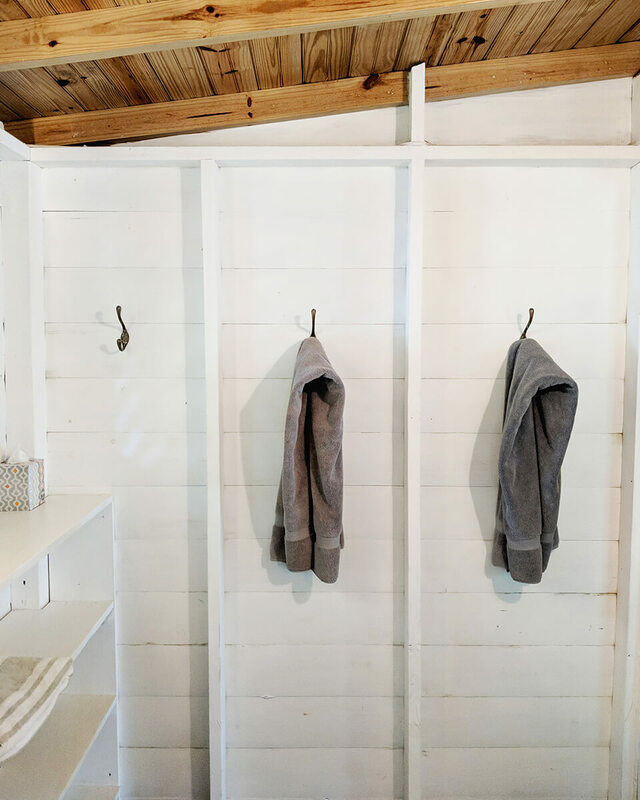 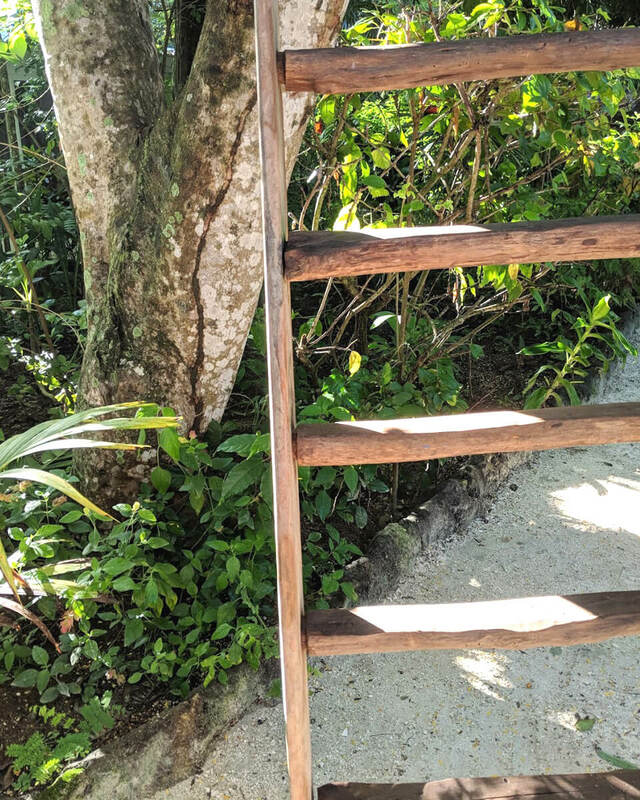 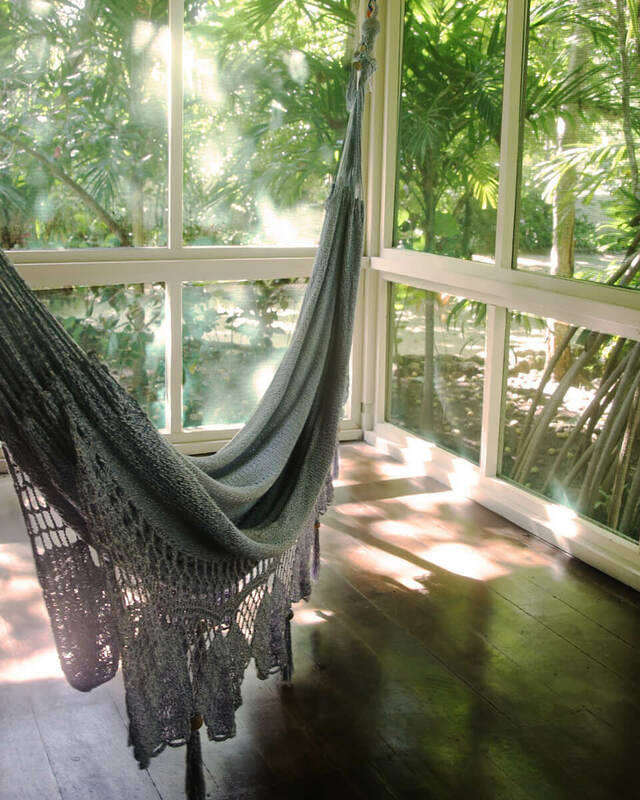 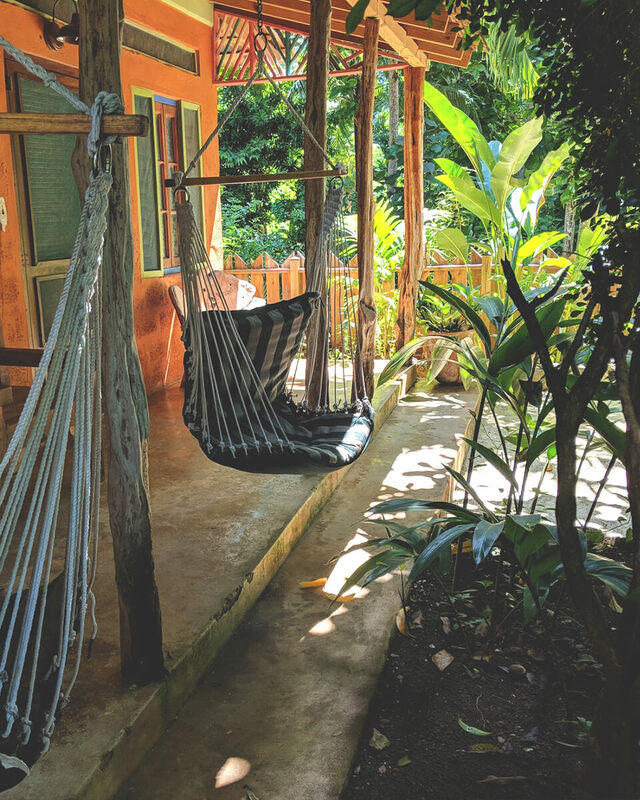 Whether relaxing beachside or swaying to the breeze in your personal hammock, this cottage is a haven for disconnecting from your every day world. 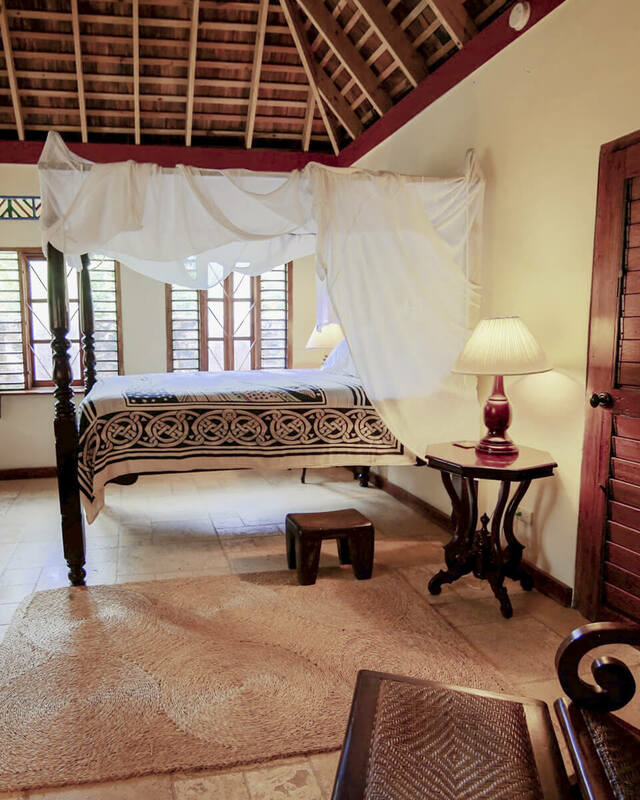 Tucked into the lush tropical gardens of Tingalaya’s main grounds, this tranquil bungalow is the perfect island hideaway. 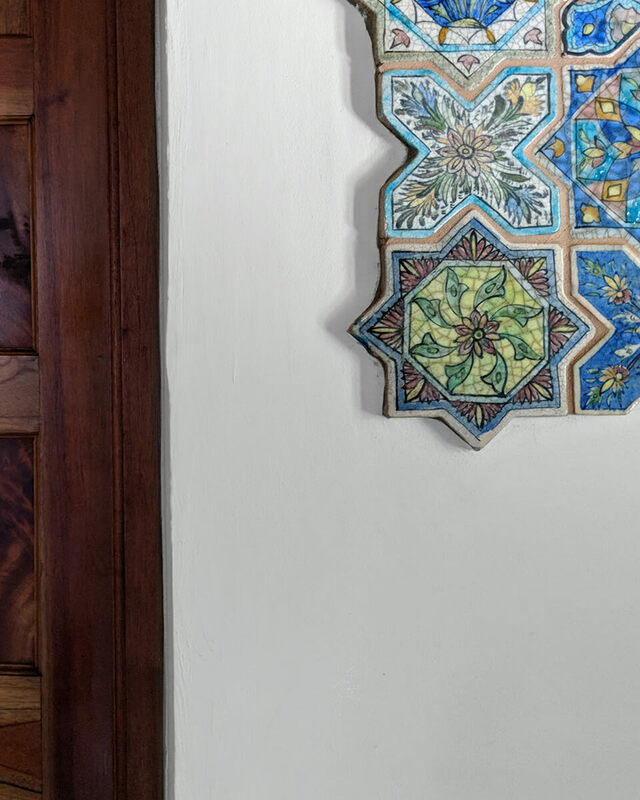 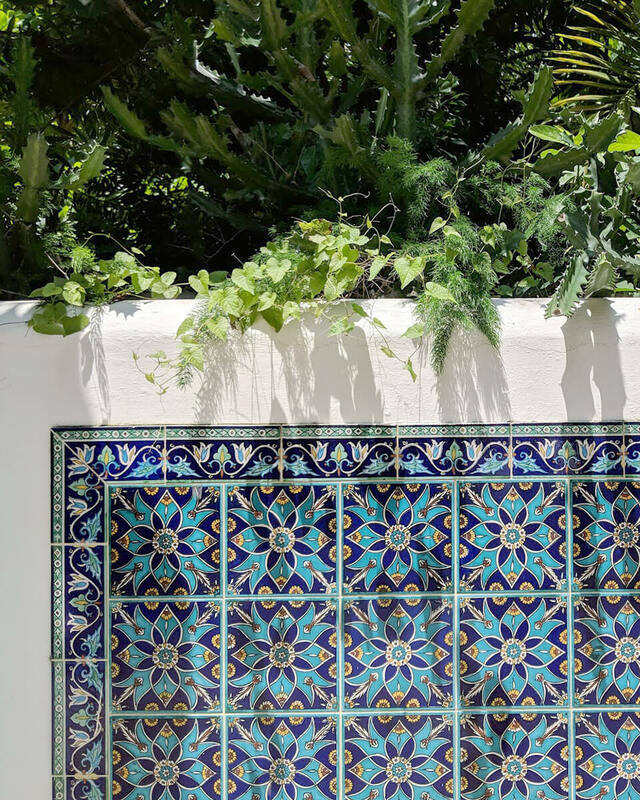 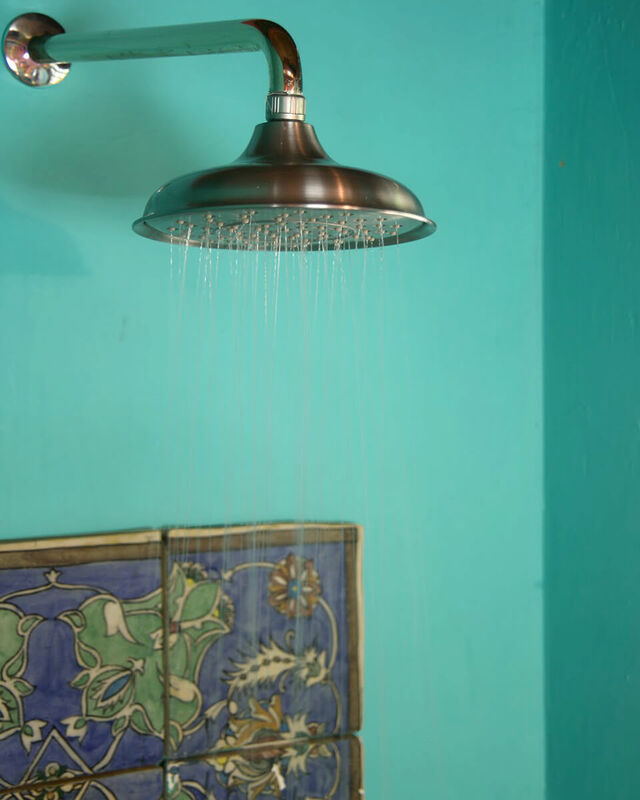 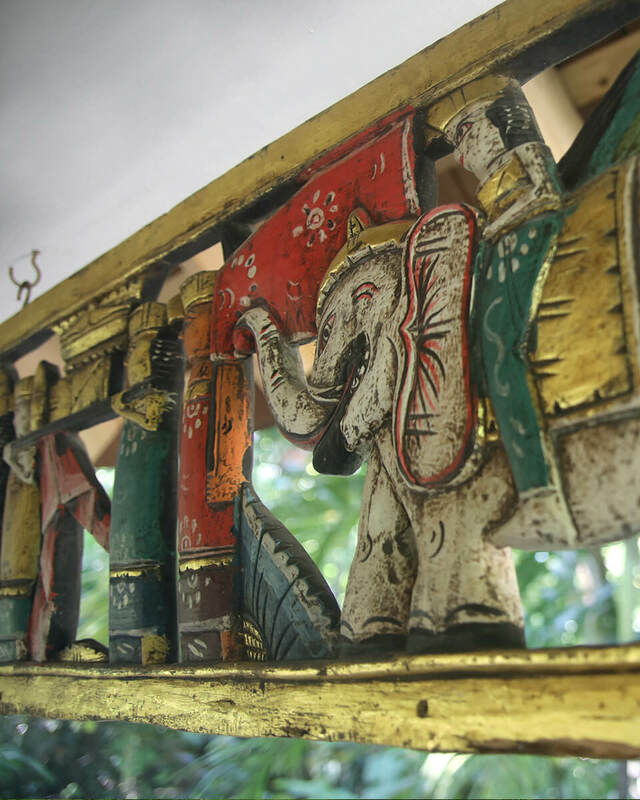 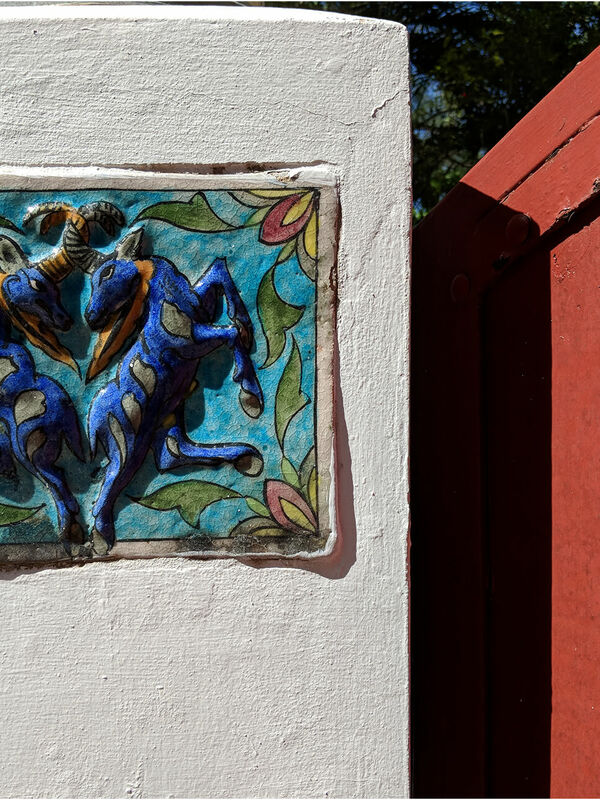 The bungalow is complete with hand-selected antique décor, travertine floors, ceramic tile panels from Persia and Morocco and original artwork. 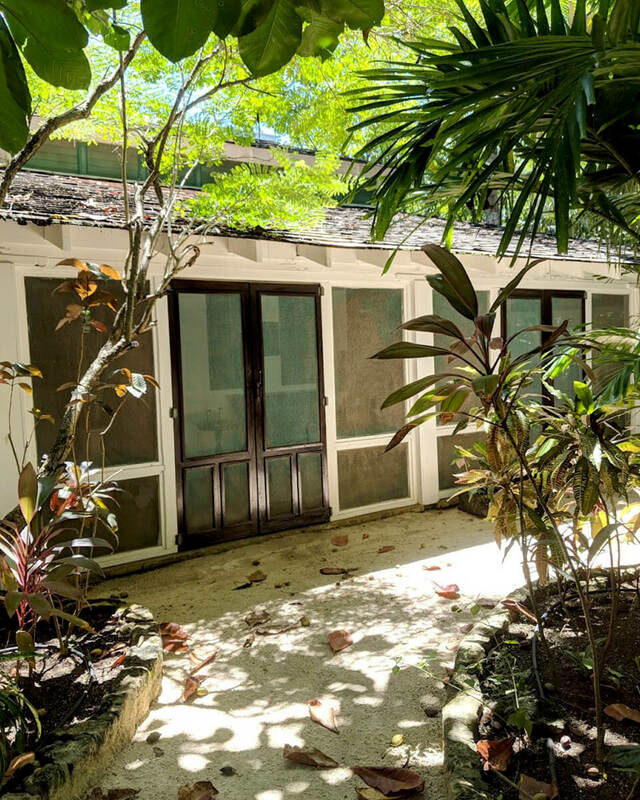 Butterfly A is connected to its sister bungalow, Butterfly Bungalow B, and can be occupied as a suite for friends or family. 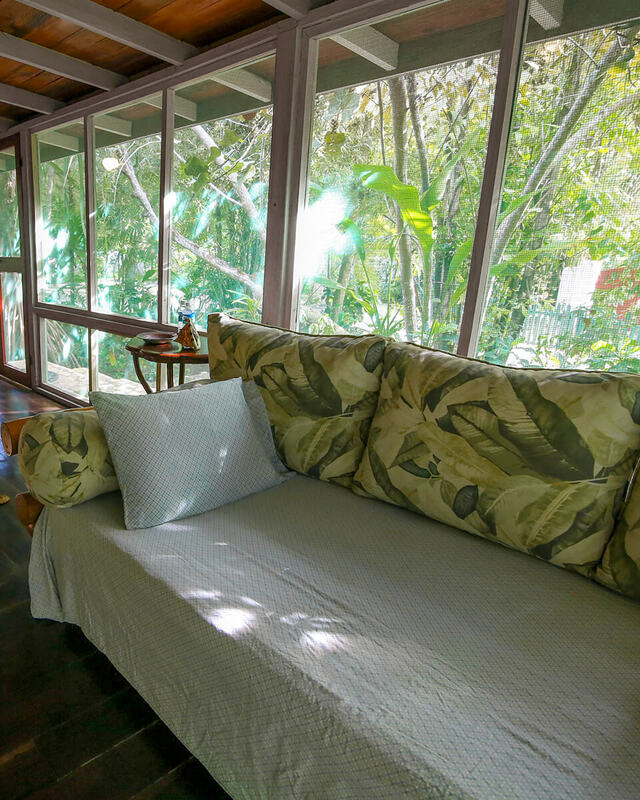 Tranquility is weaved into every facet of this tucked away, garden bungalow. 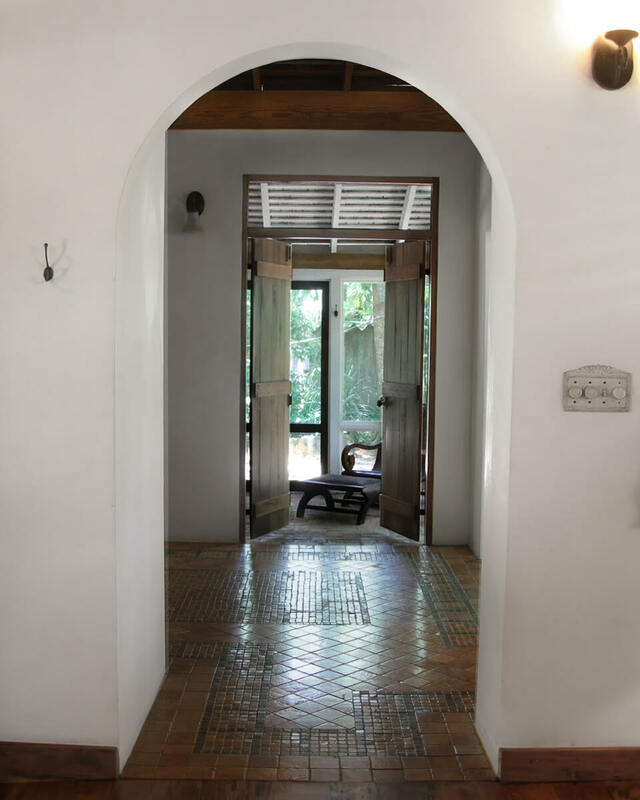 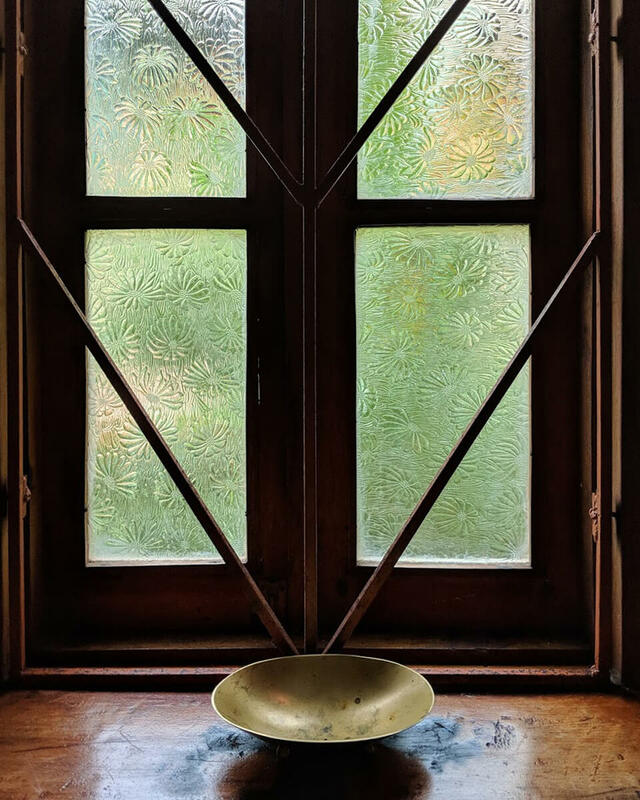 Surrounded by the lush, tropic gardens of Tingalaya’s main grounds, the bungalow is complete with a handselected antique mahogany bed, travertine floors, original artwork and a ceramic tile wall panels from Persia and Morocco. 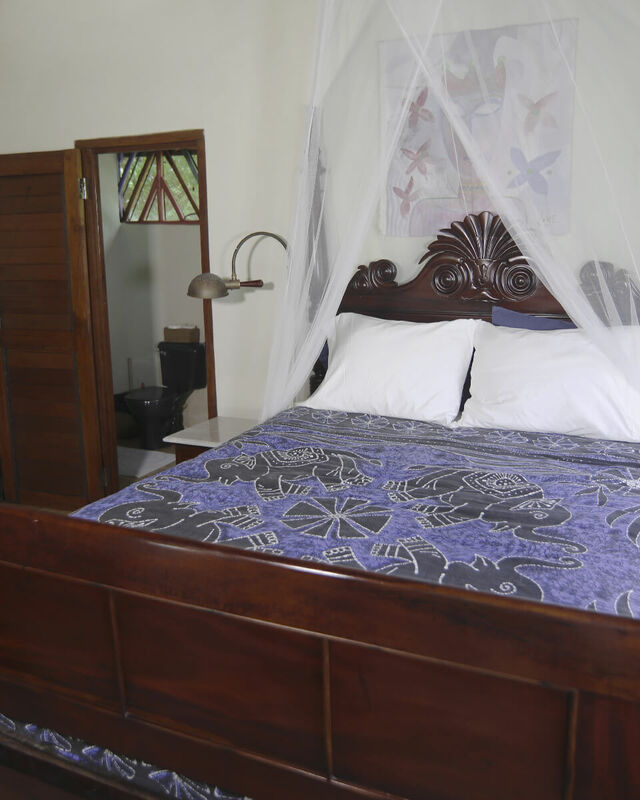 Butterfly B is also connected to its sister suite, Butterfly Bungalow A, and can be reserved as a suite for friends or family. 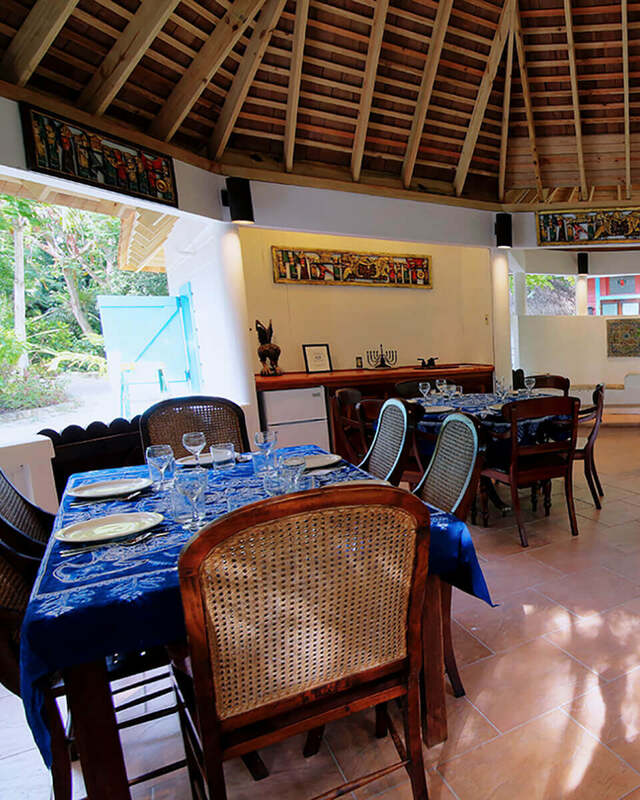 This tranquil, stylish and quiet bungalow is tucked away in gardens of Tingalaya's main grounds. 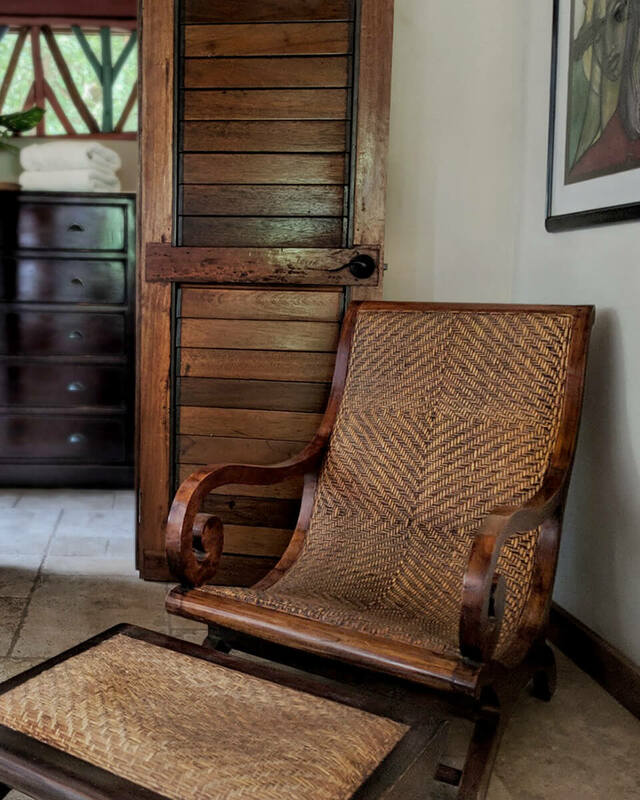 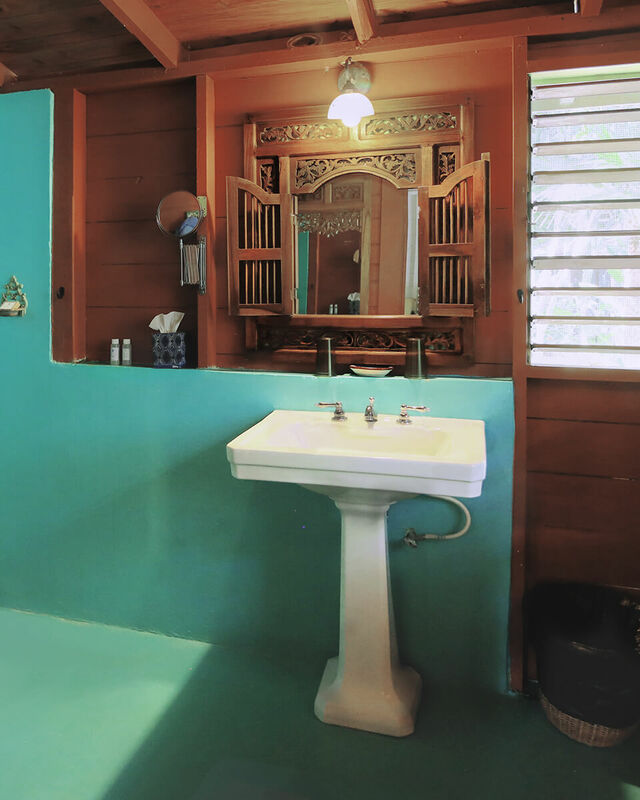 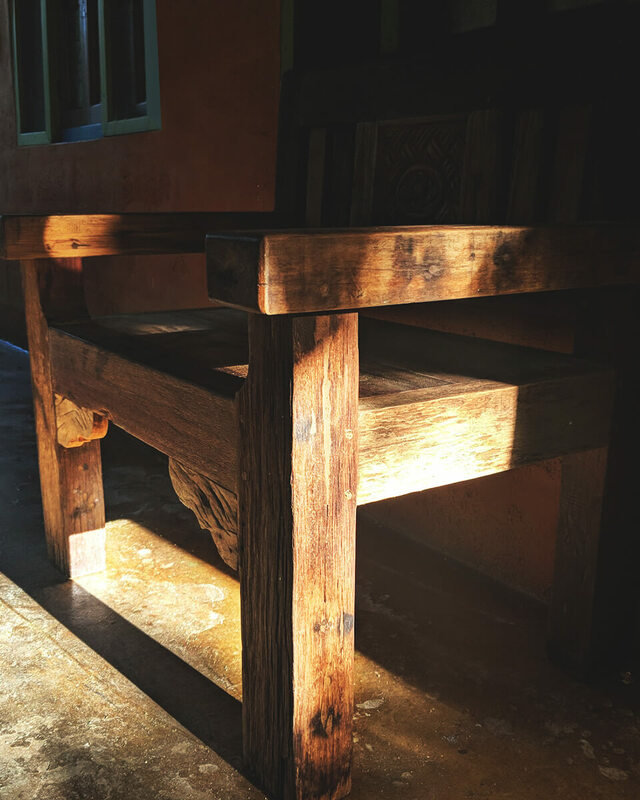 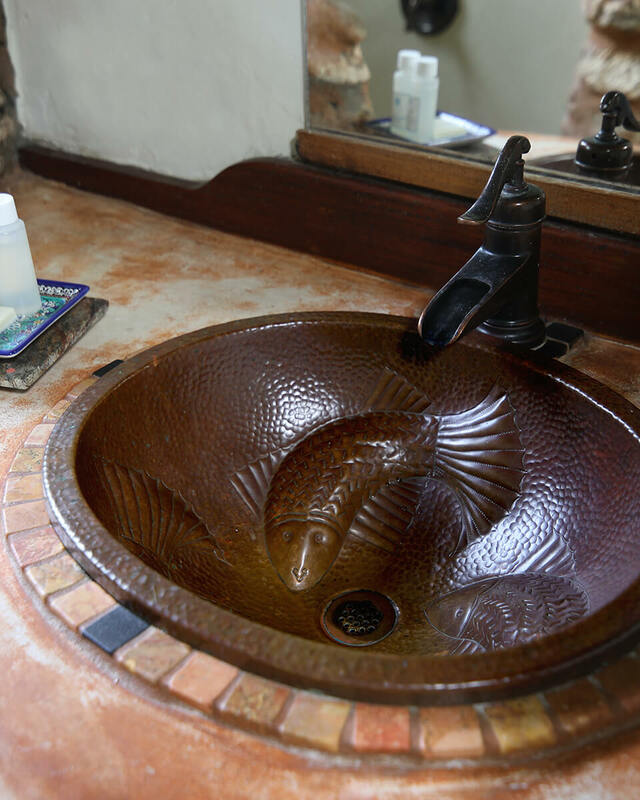 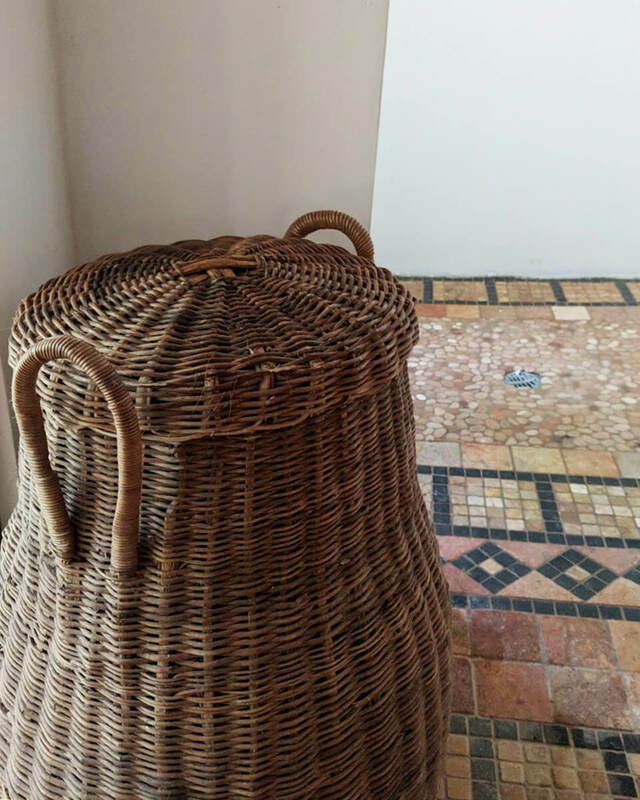 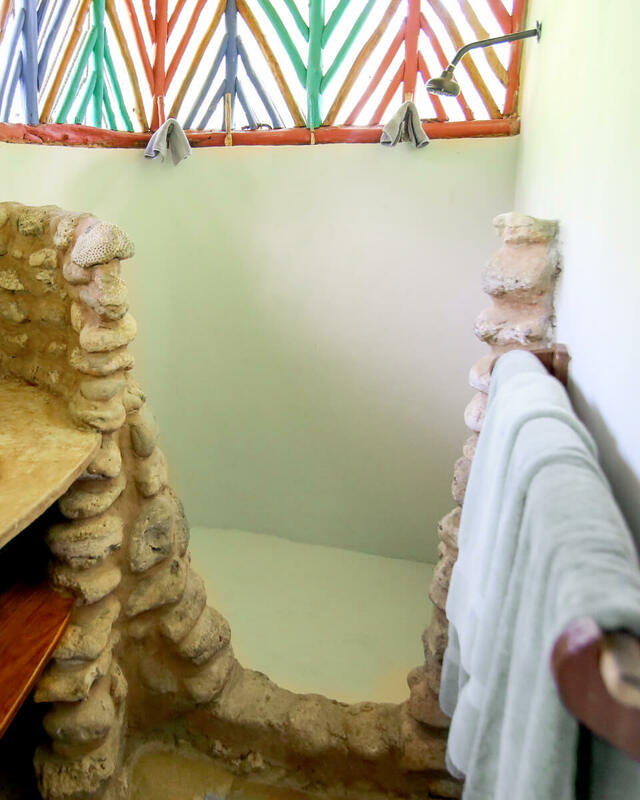 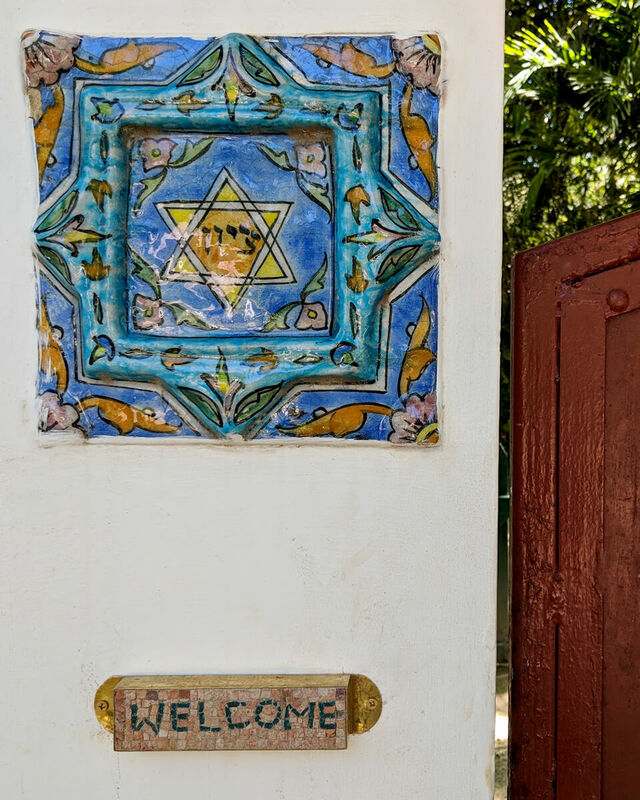 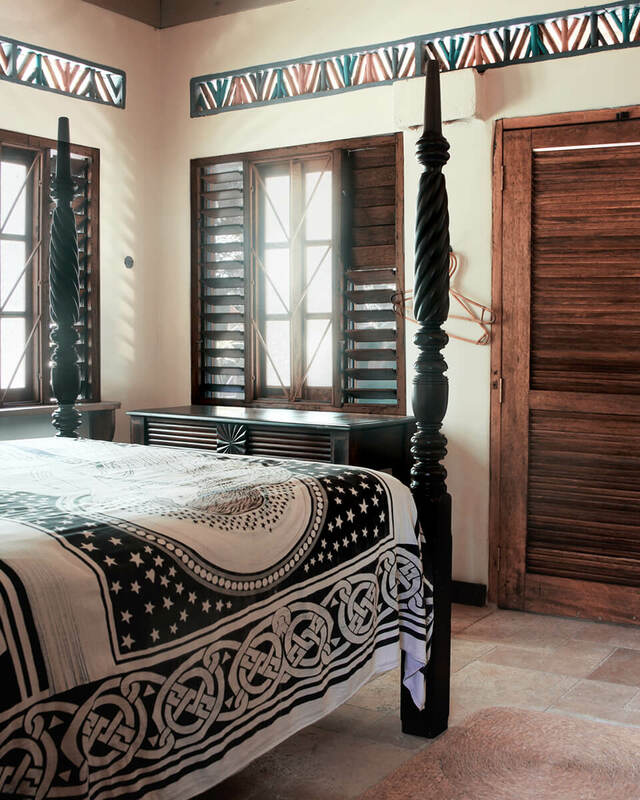 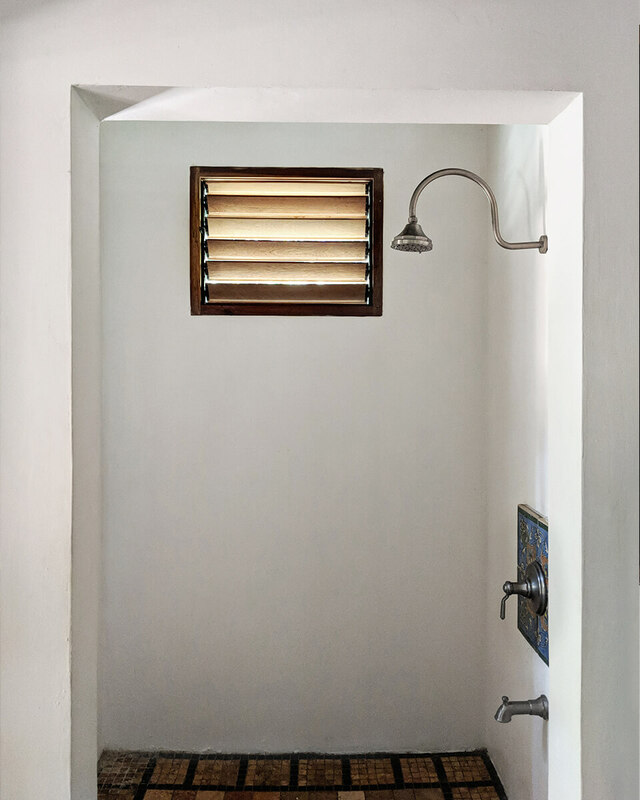 Complete with hand-selected antique décor that pays homage to old Jamaica and Indonesia, the bungalow also boasts travertine floors, original artwork and ceramic tile accents from Morocco. 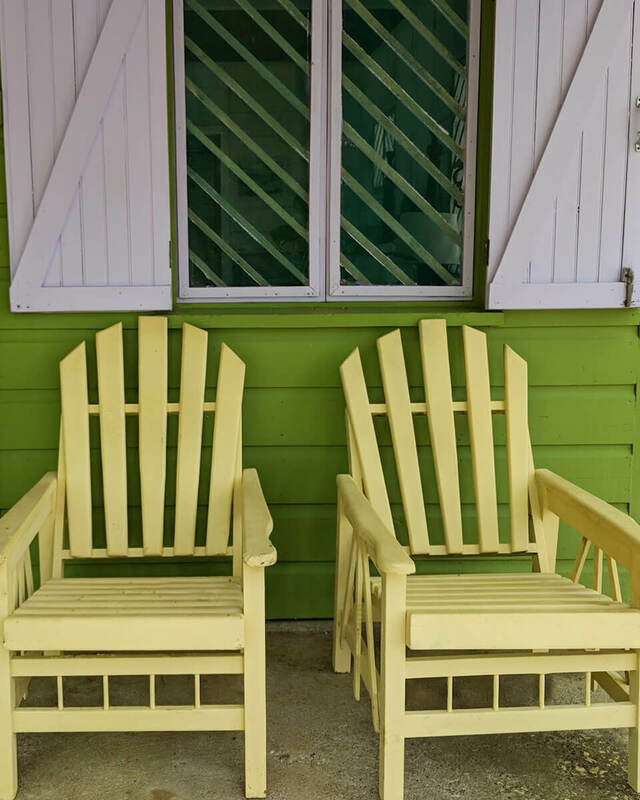 Hummingbird C is also connected to its sister suite, Hummingbird Bungalow D, and can be reserved as a suite for friends and family. 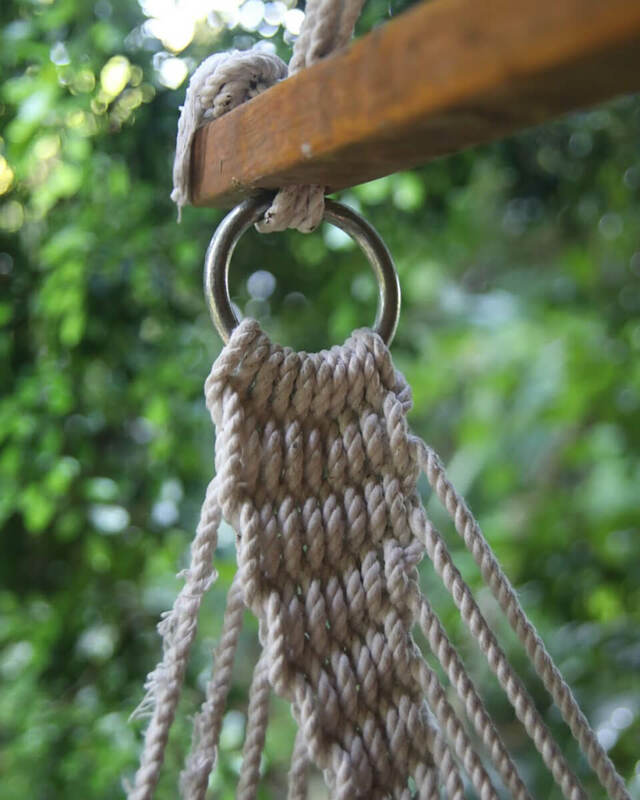 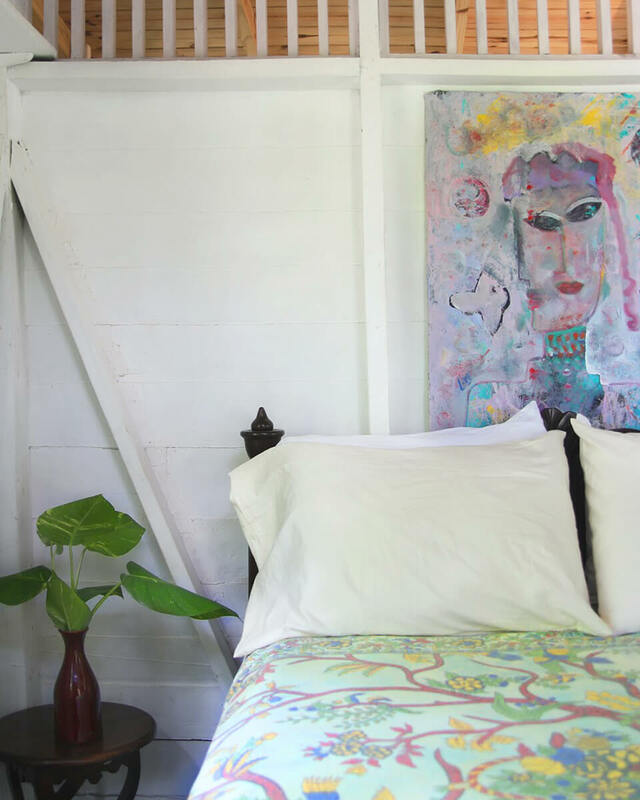 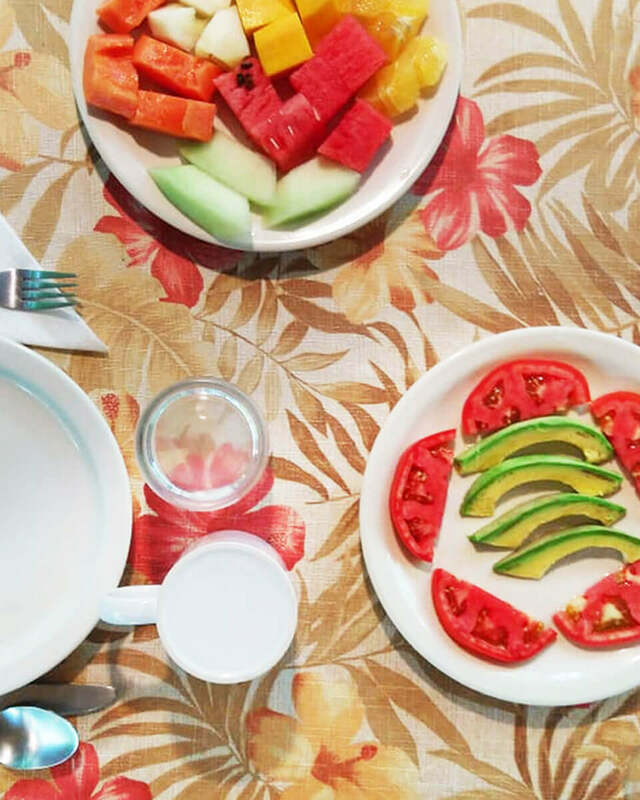 Quietly eclectic, Hummingbird D bungalow is the perfect vacation hideaway. 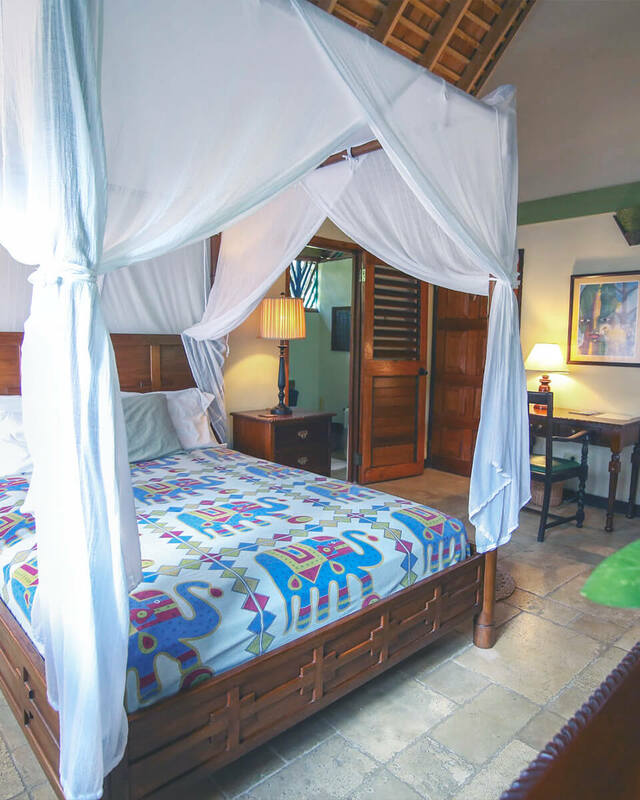 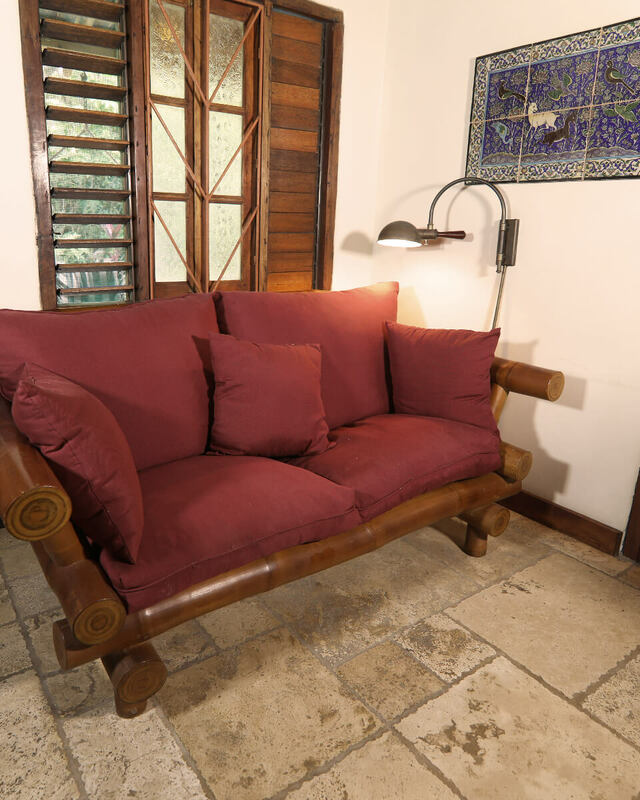 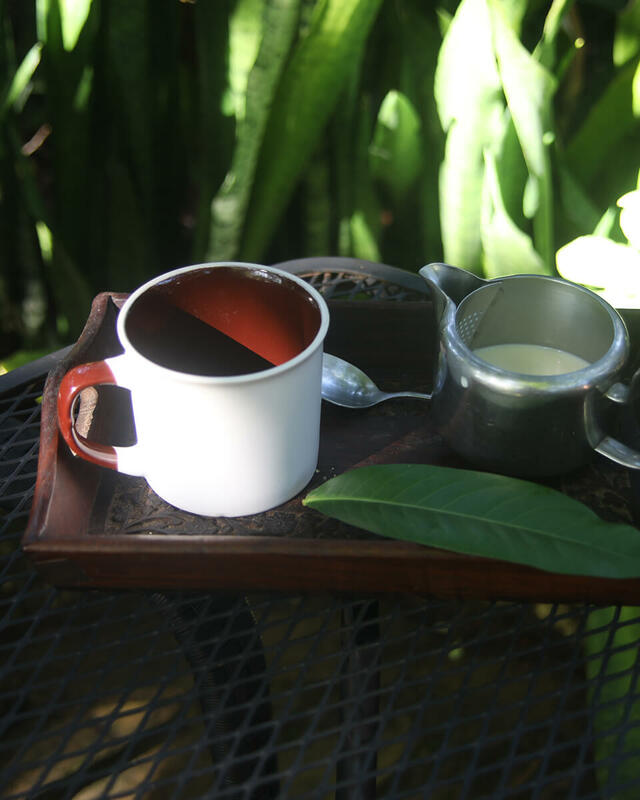 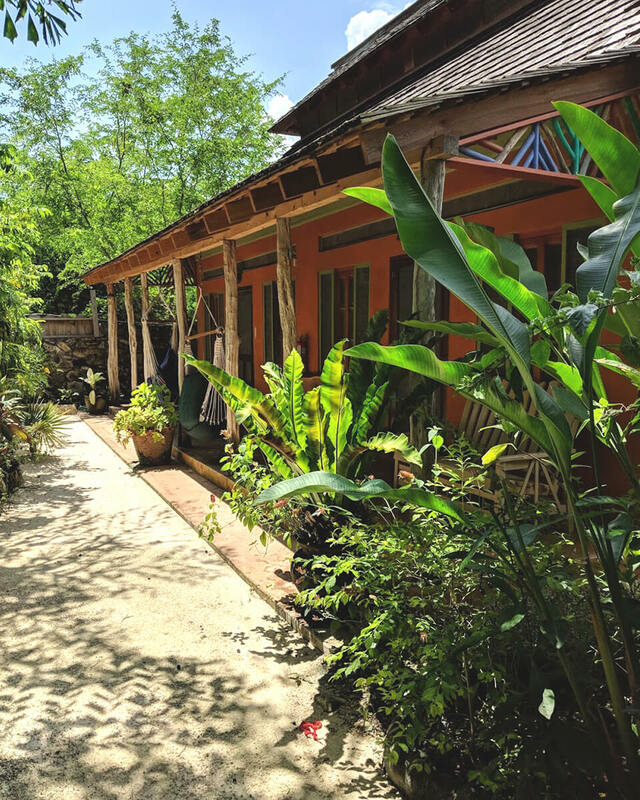 Tucked into the lush tropical gardens of Tingalaya’s main grounds, the bungalow is complete with a handselected antique mahogany bed, travertine floors, teakwood accents and original artwork that pays homage to both old Jamaica and Indonesia. 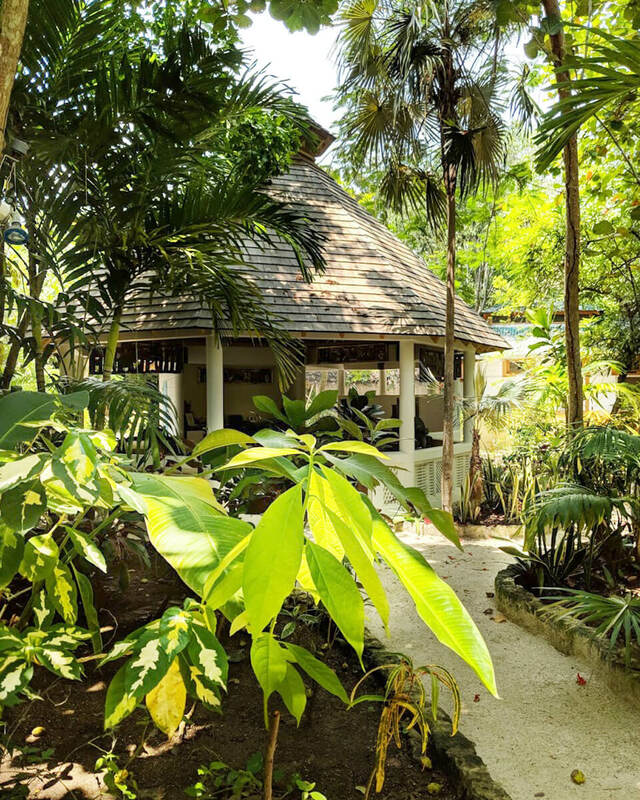 Hummingbird D is connected to its sister bungalow, Hummingbird Bungalow C, and can be reserved as a suite for friends or family.